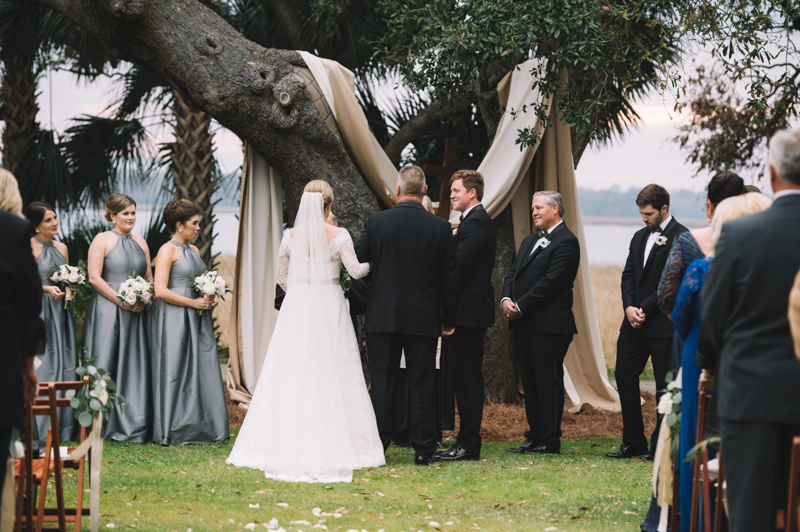 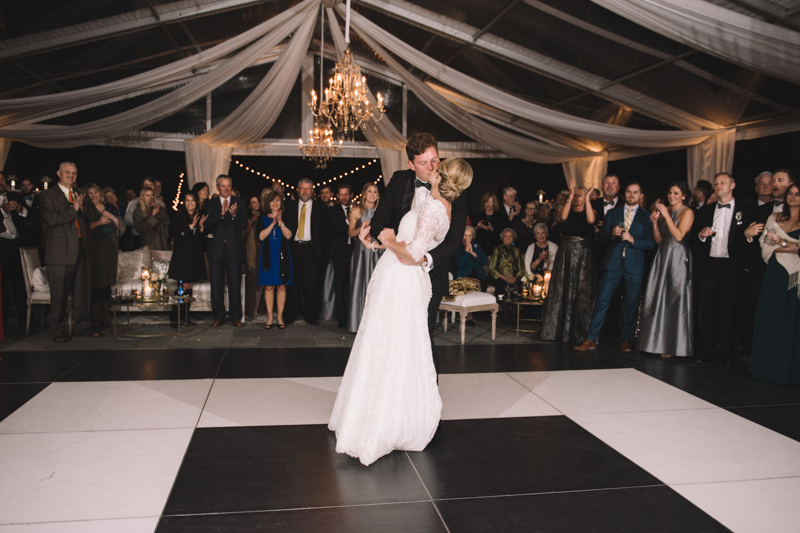 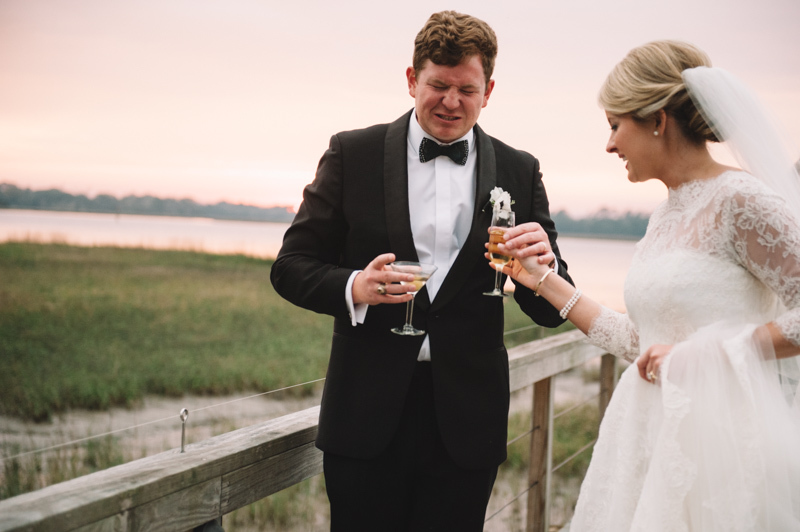 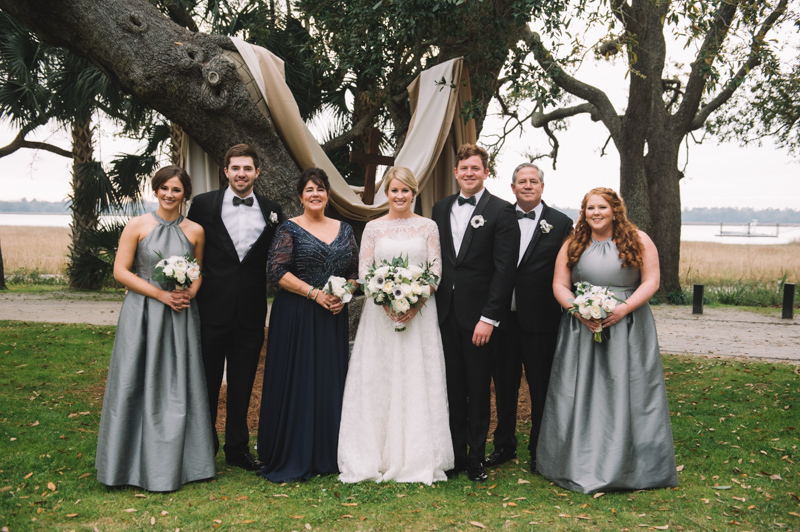 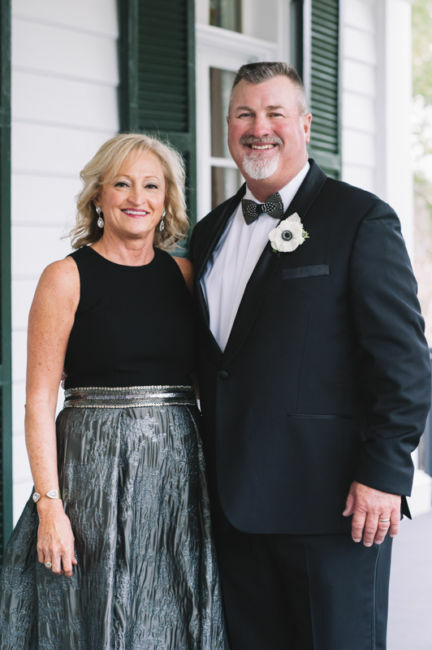 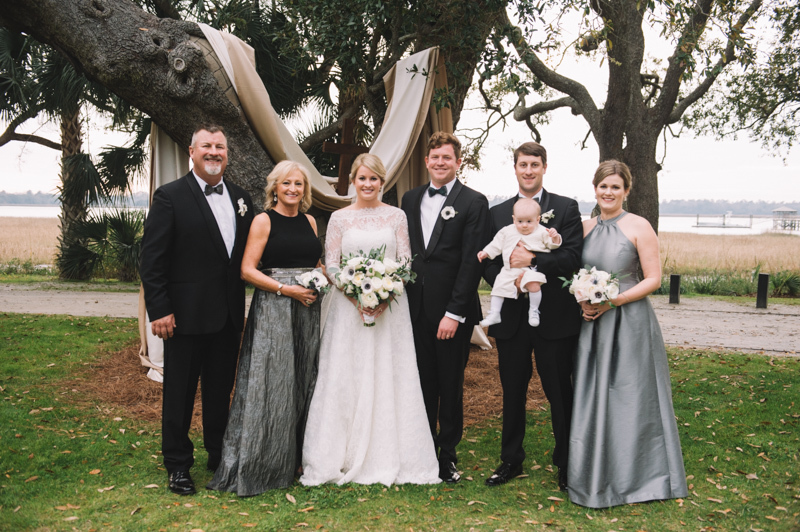 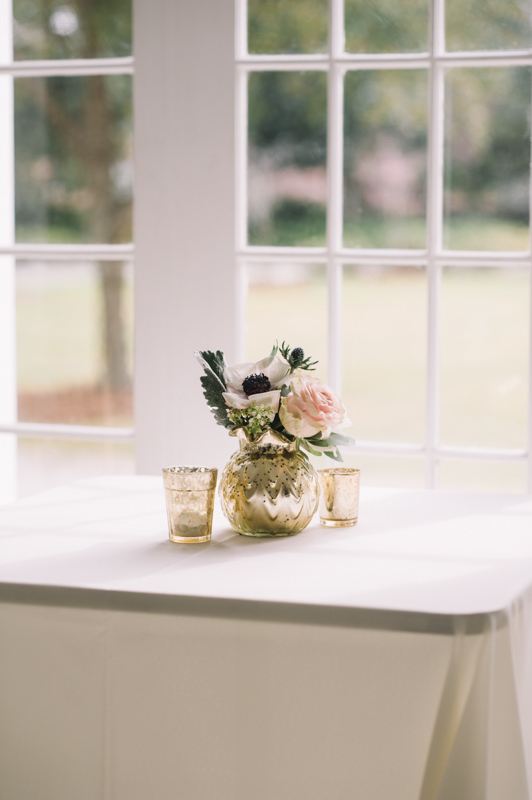 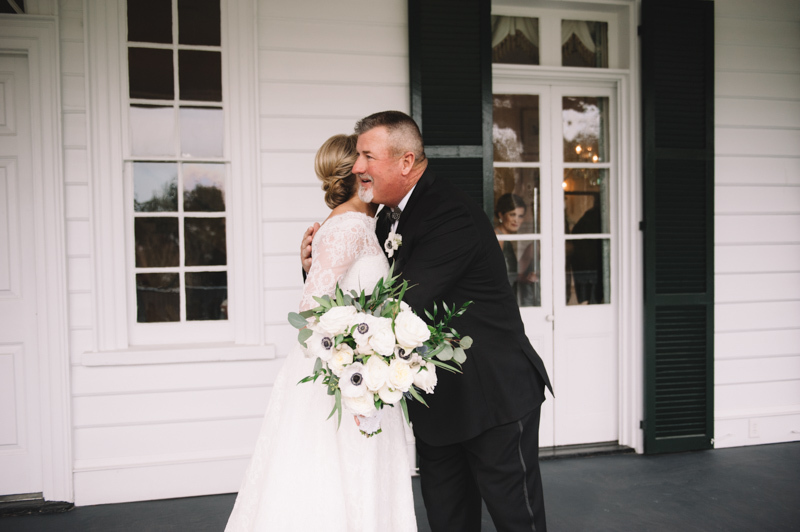 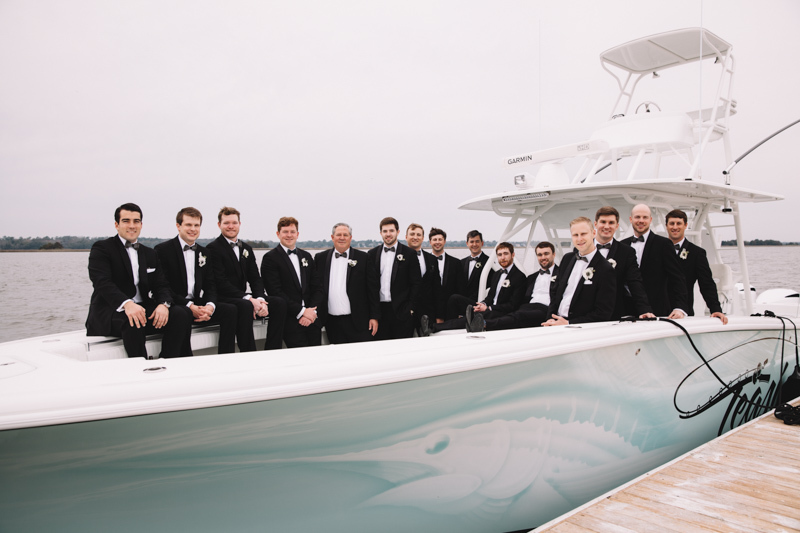 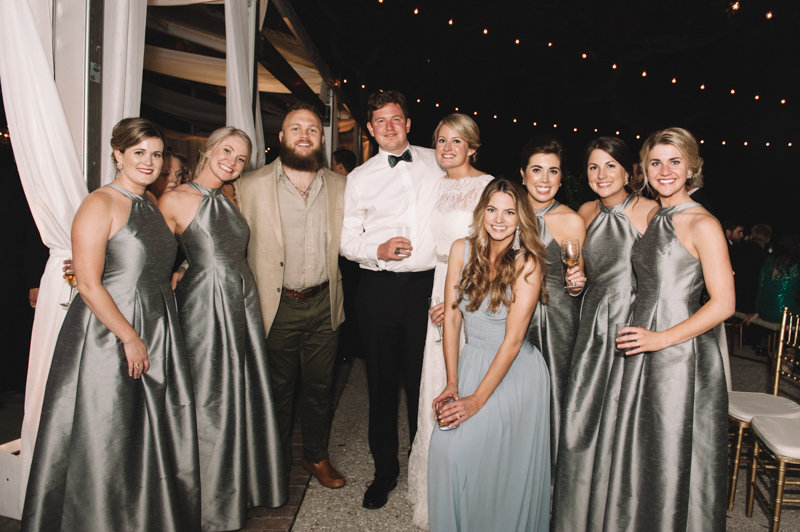 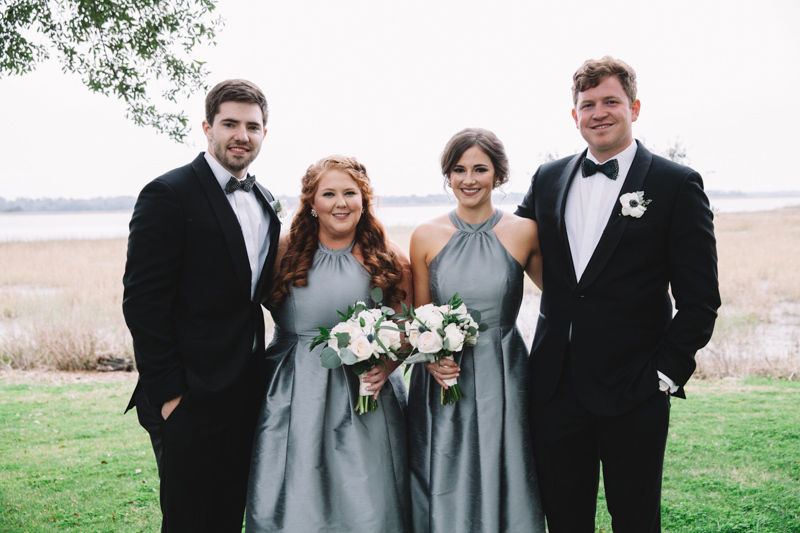 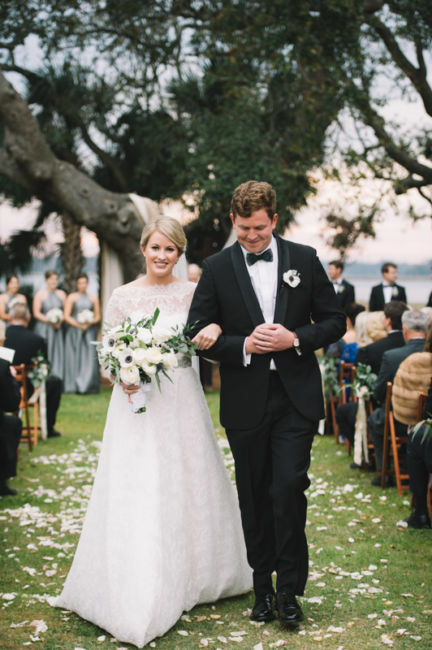 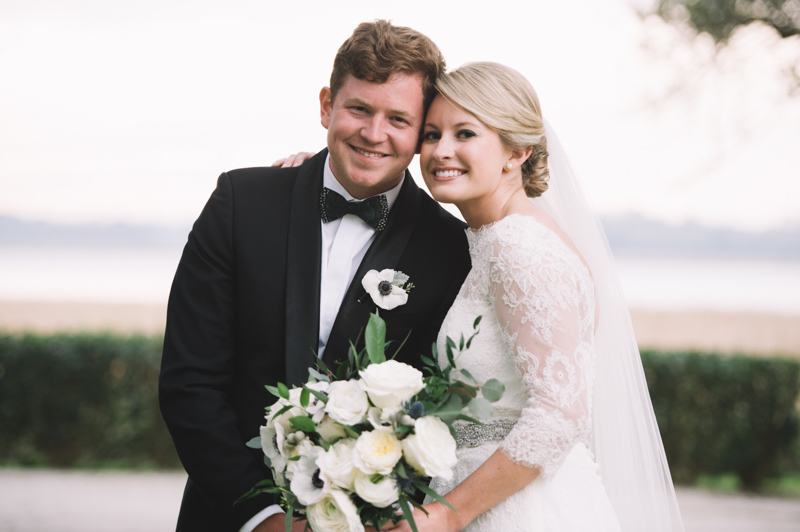 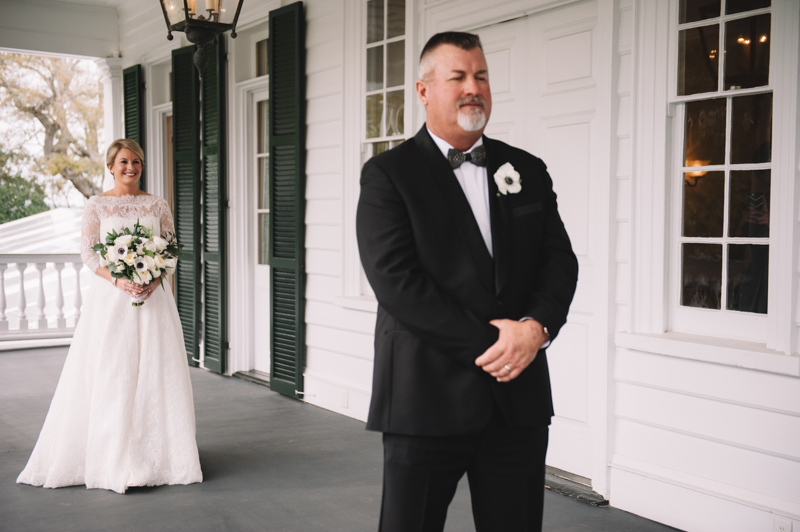 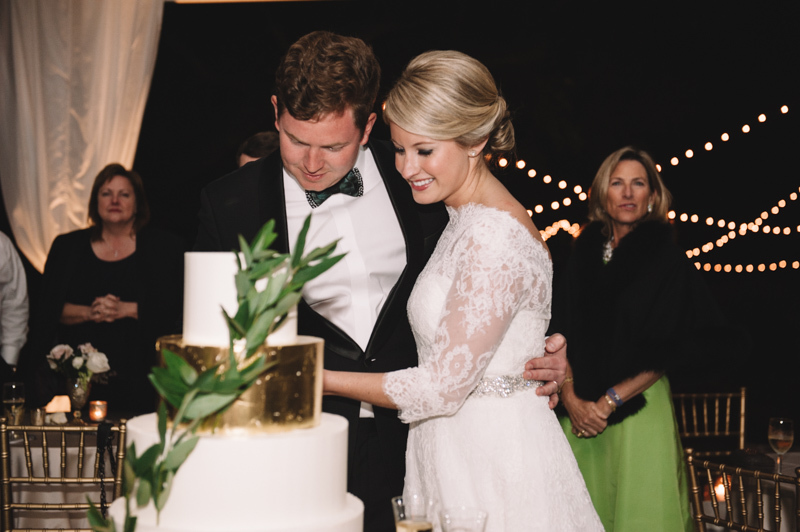 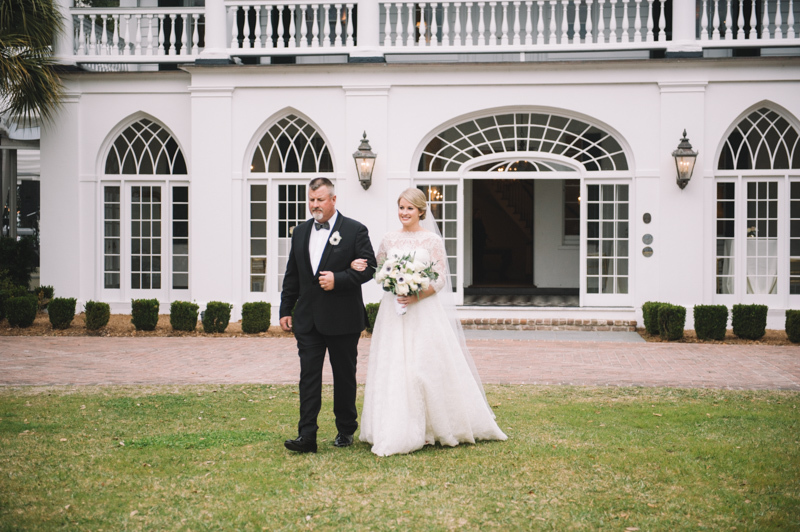 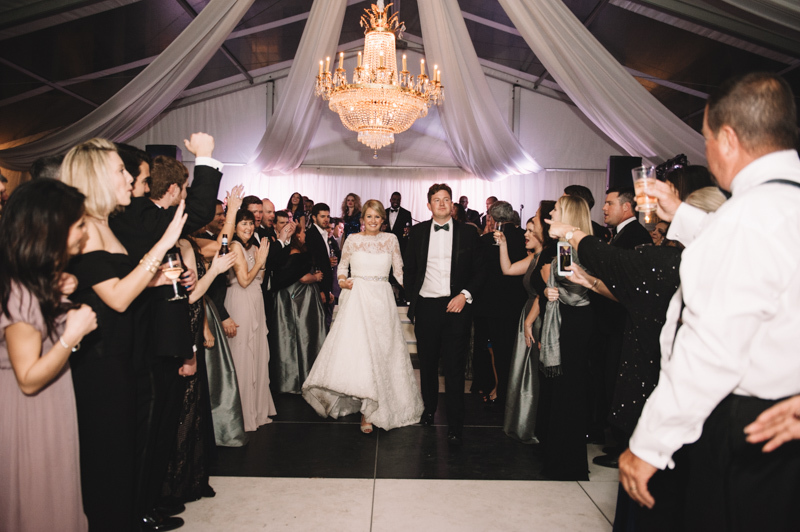 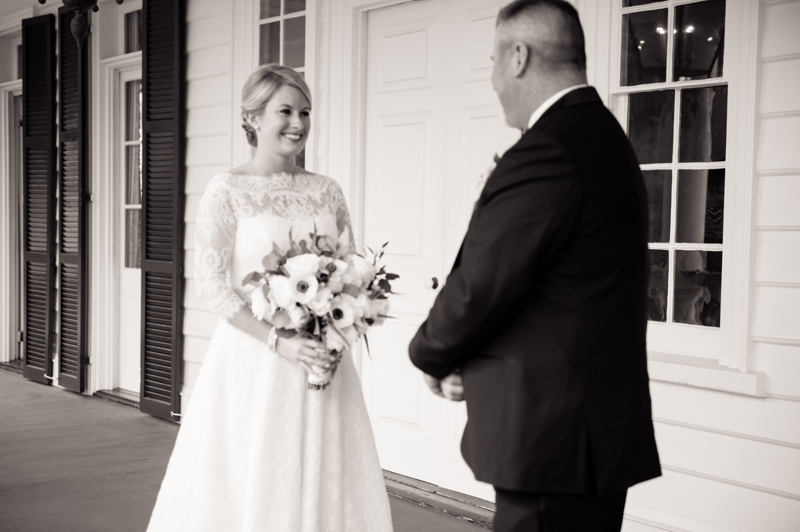 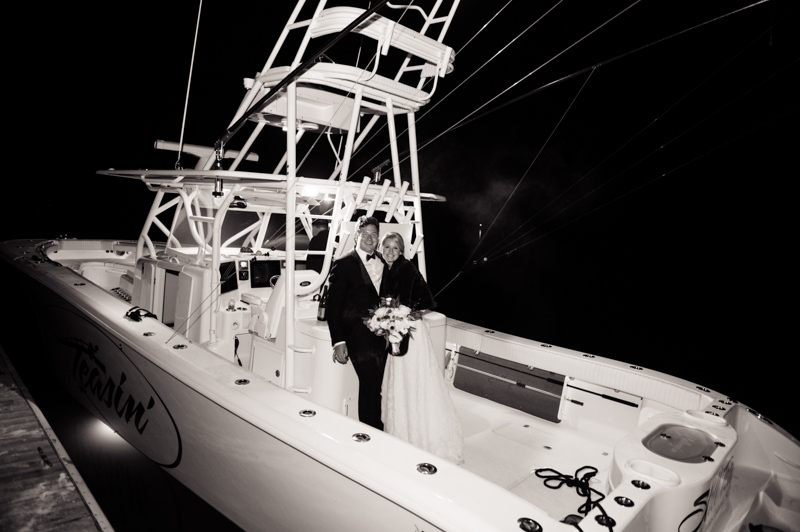 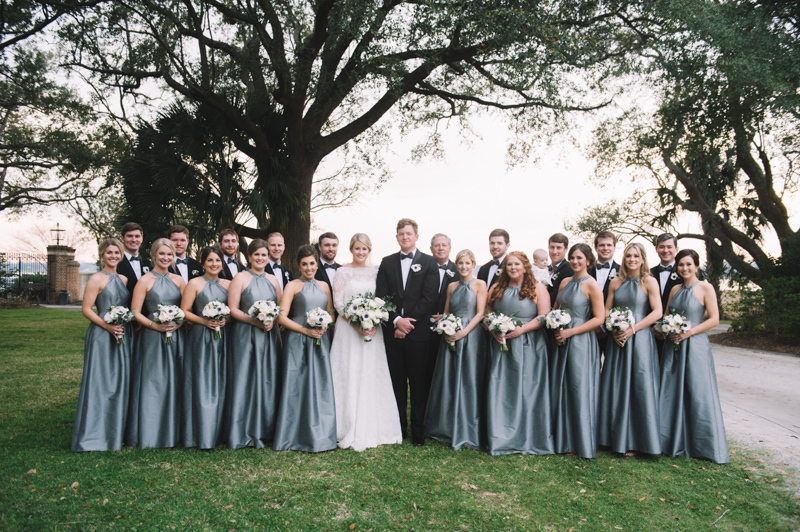 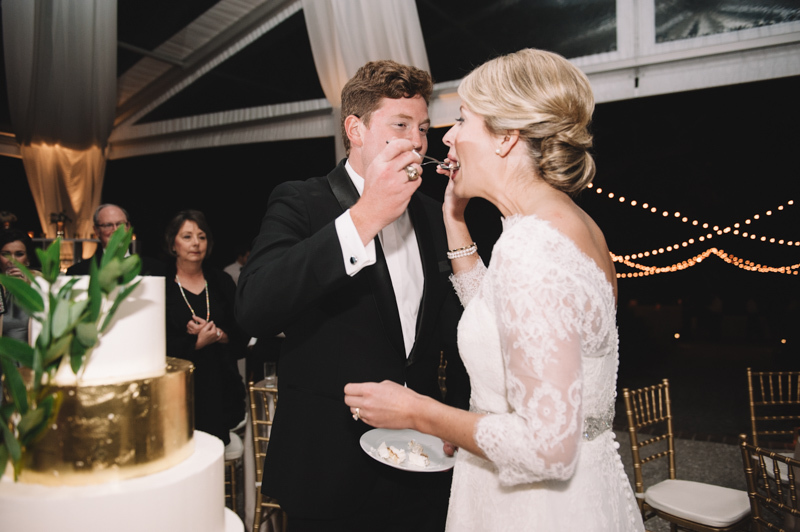 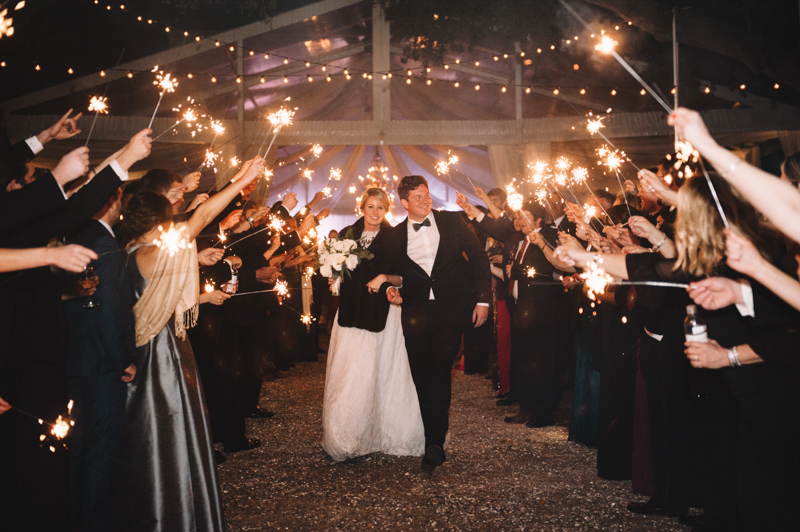 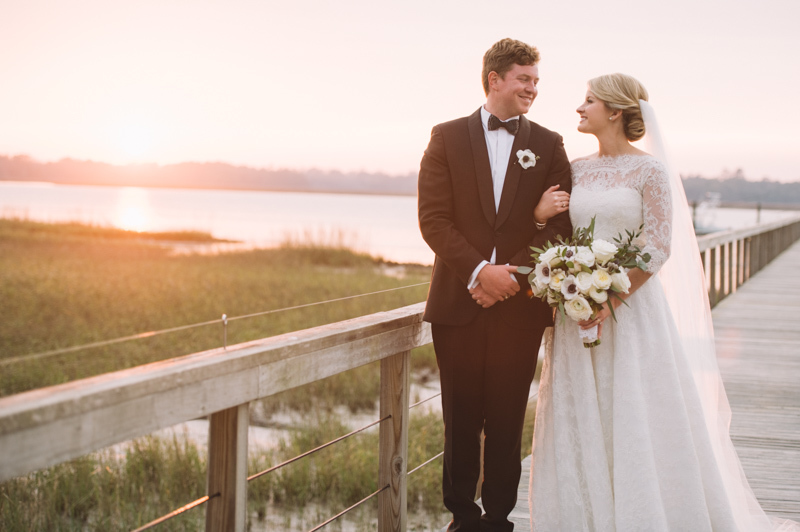 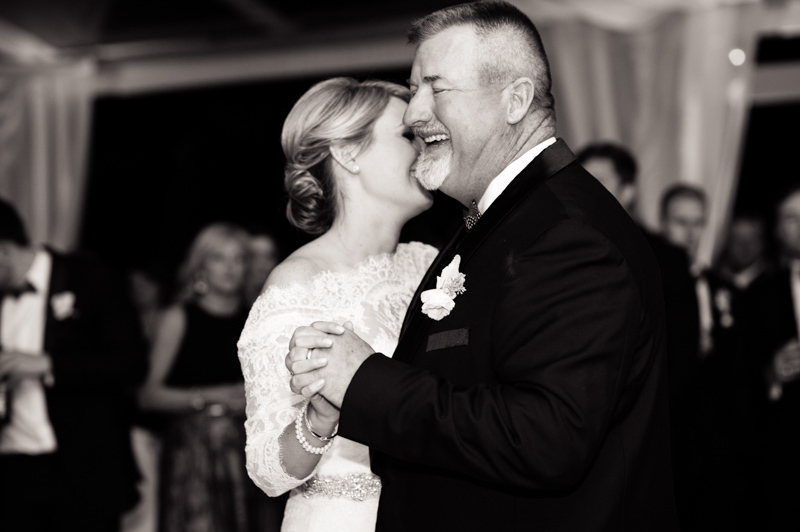 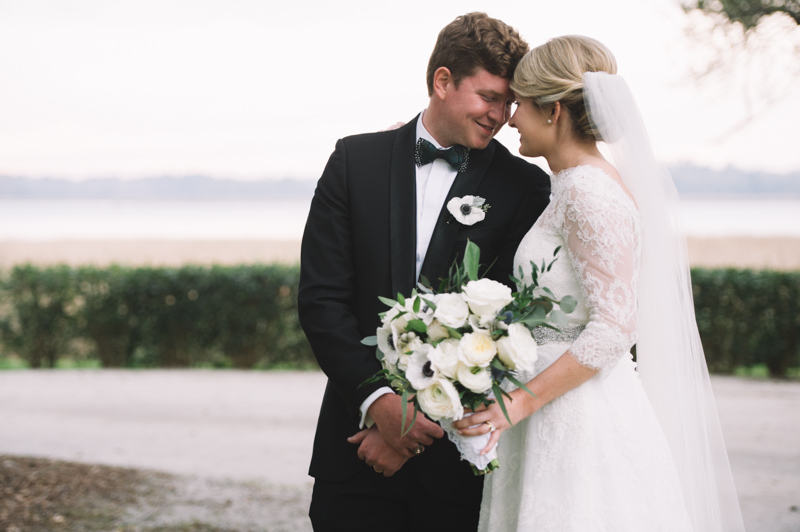 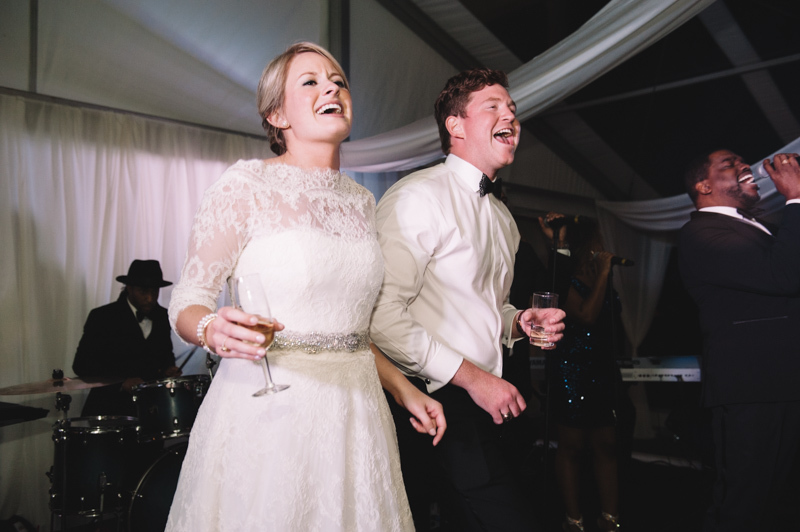 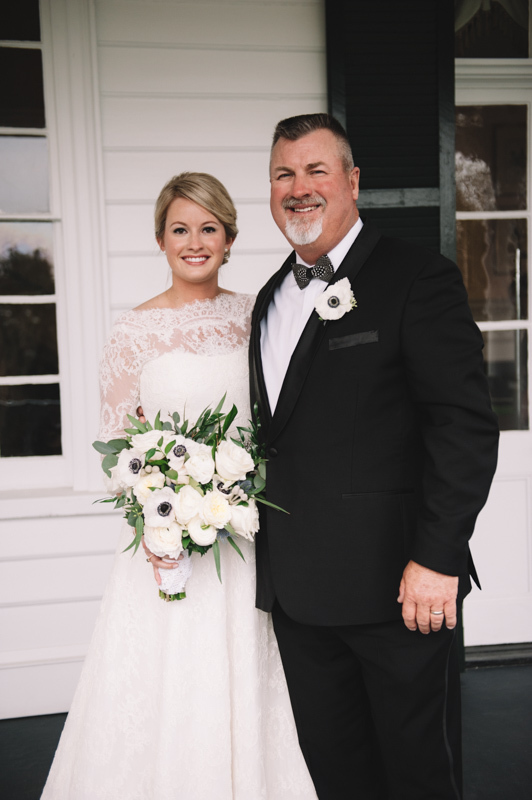 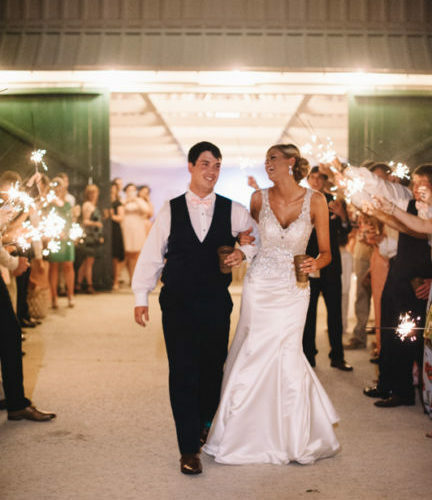 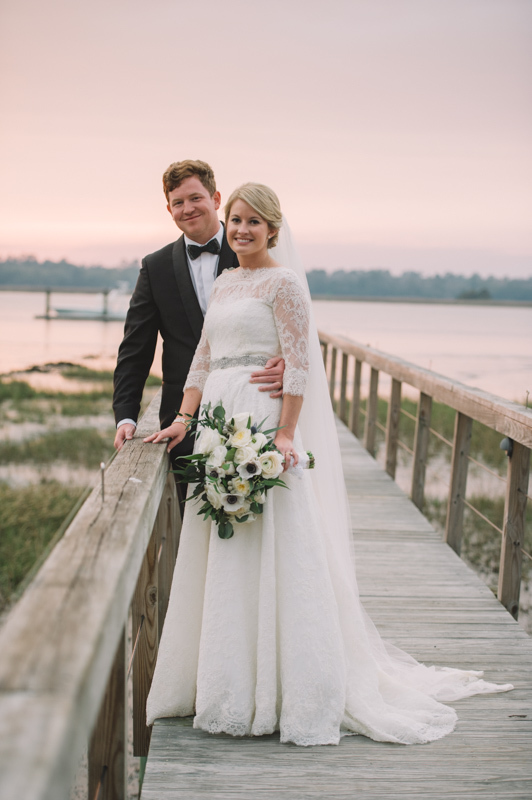 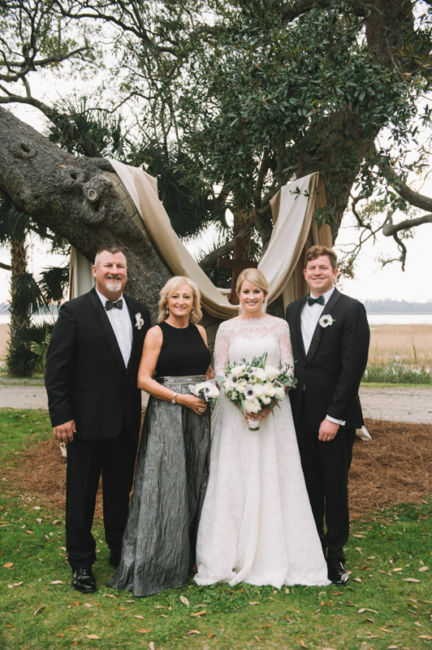 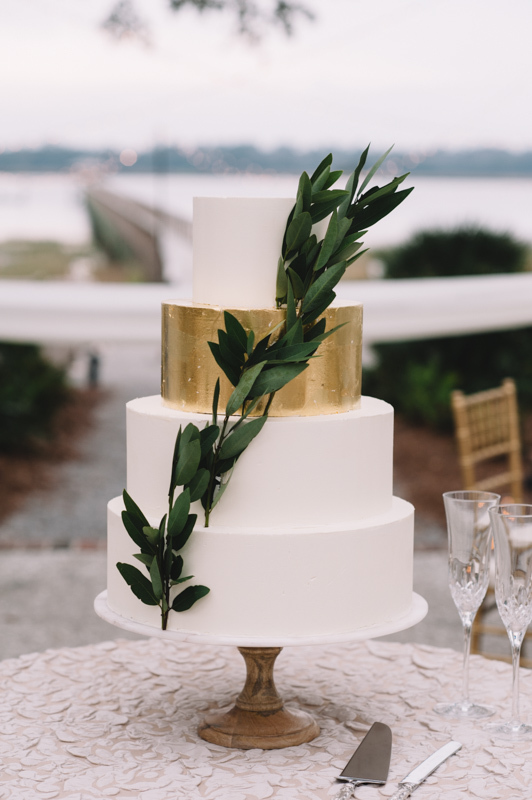 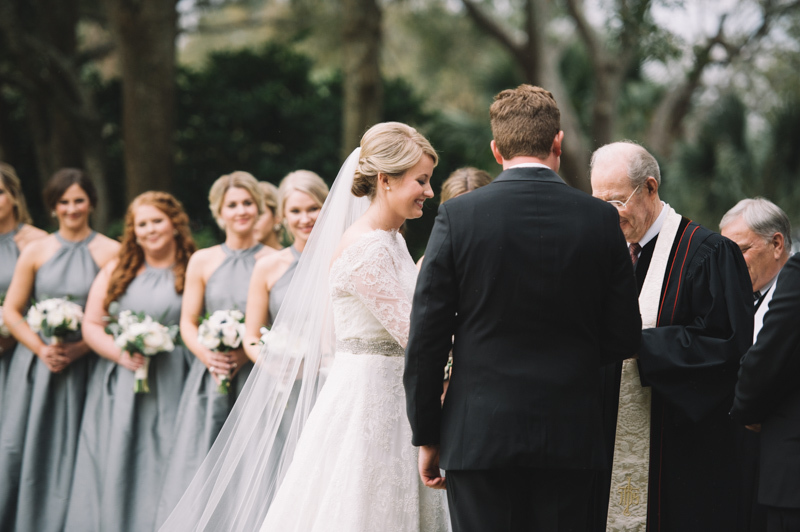 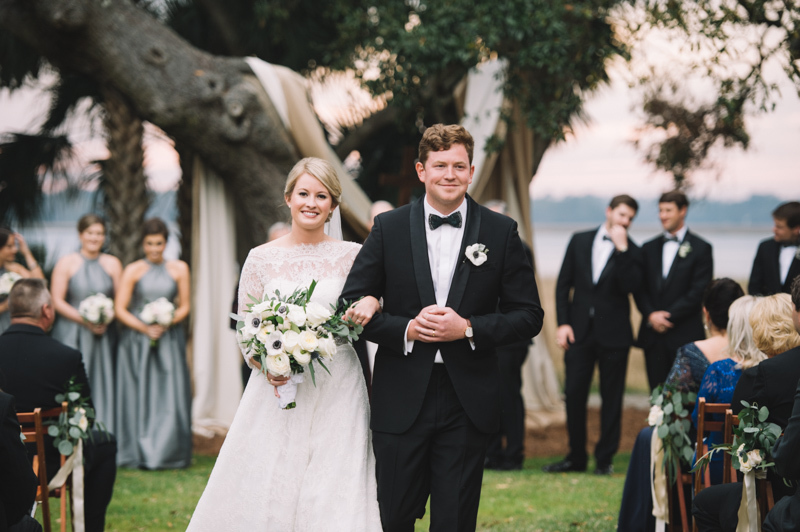 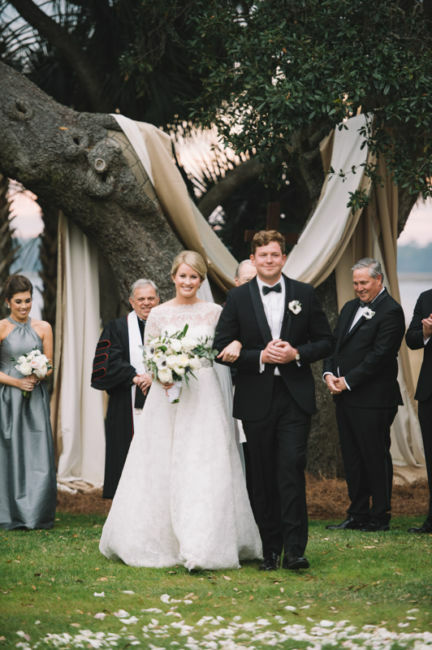 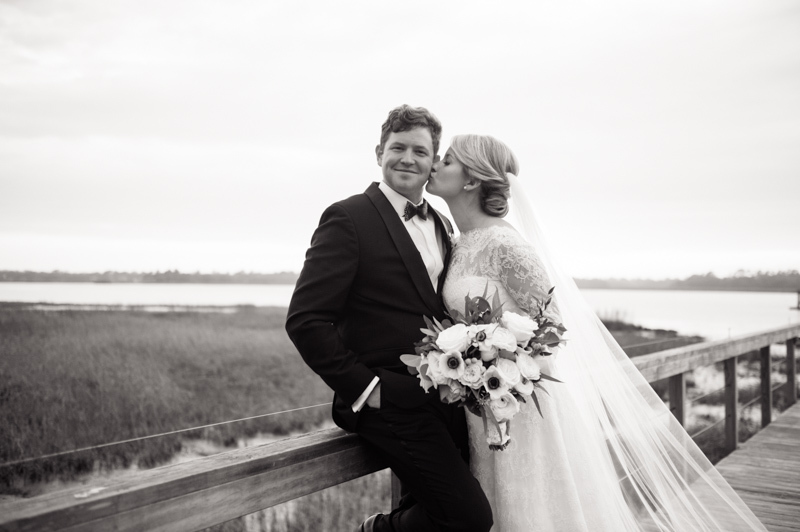 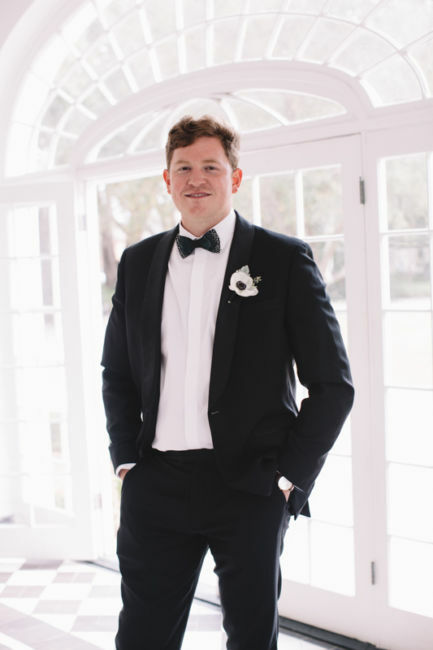 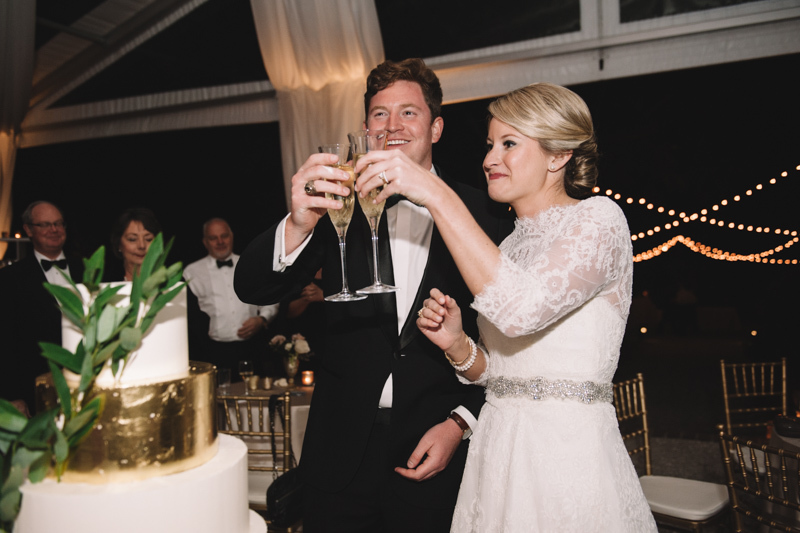 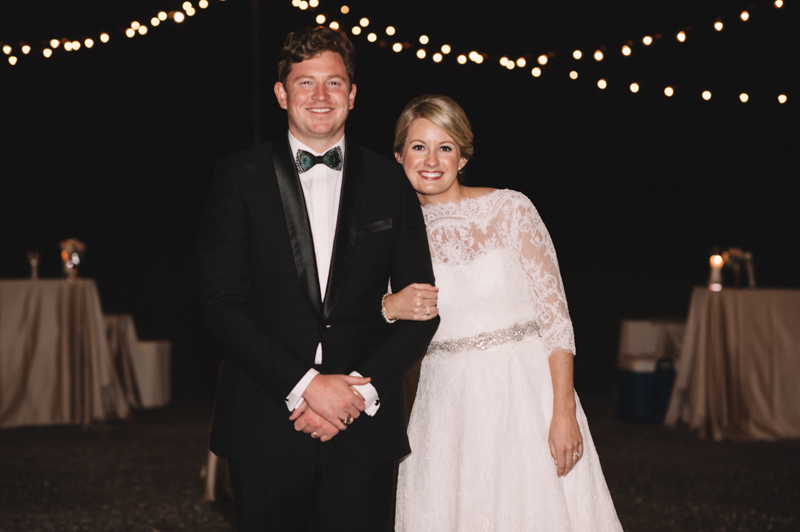 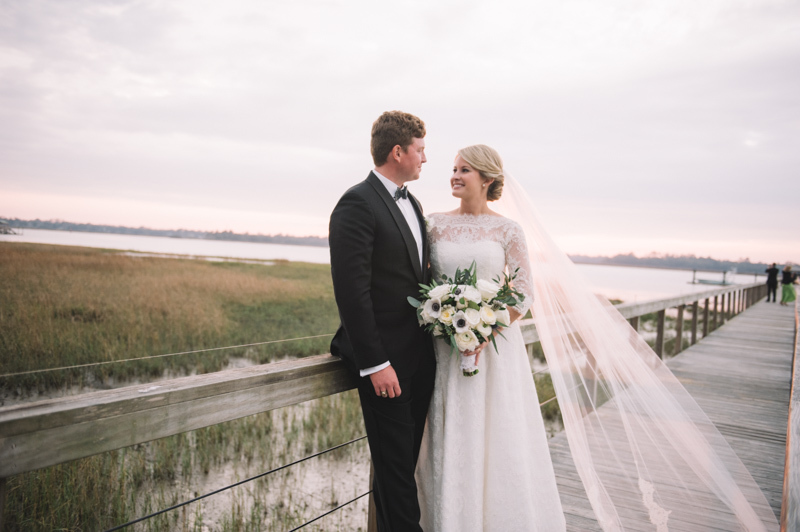 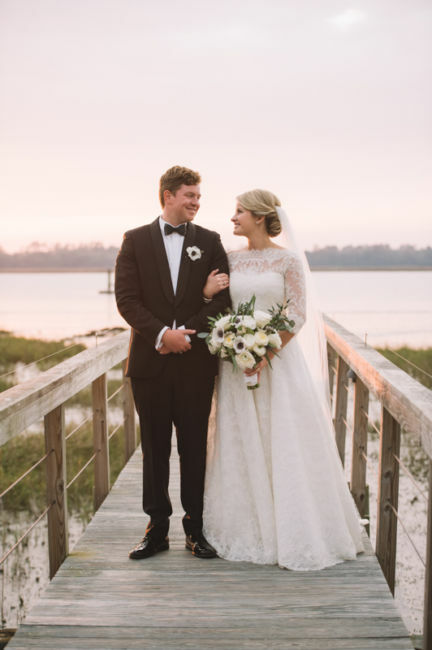 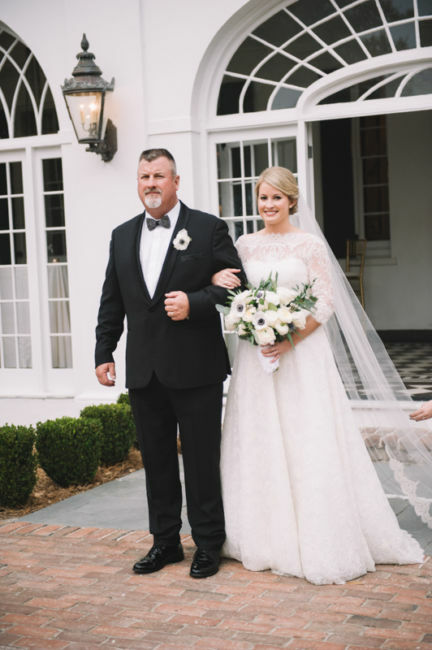 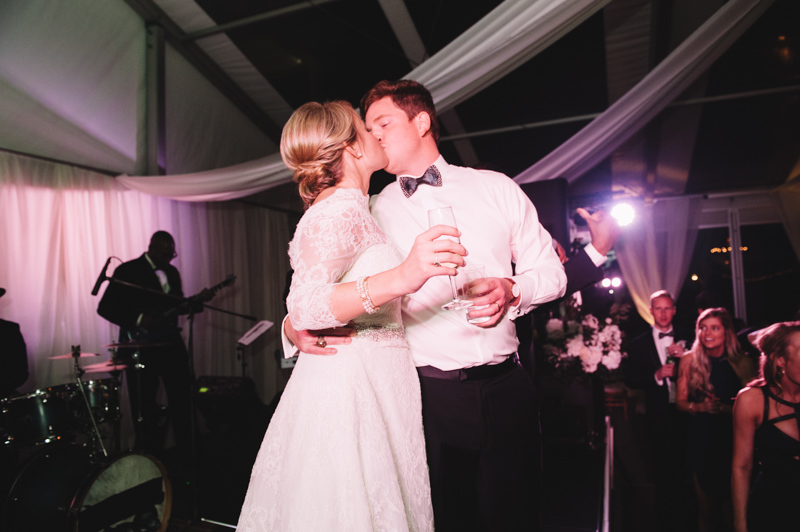 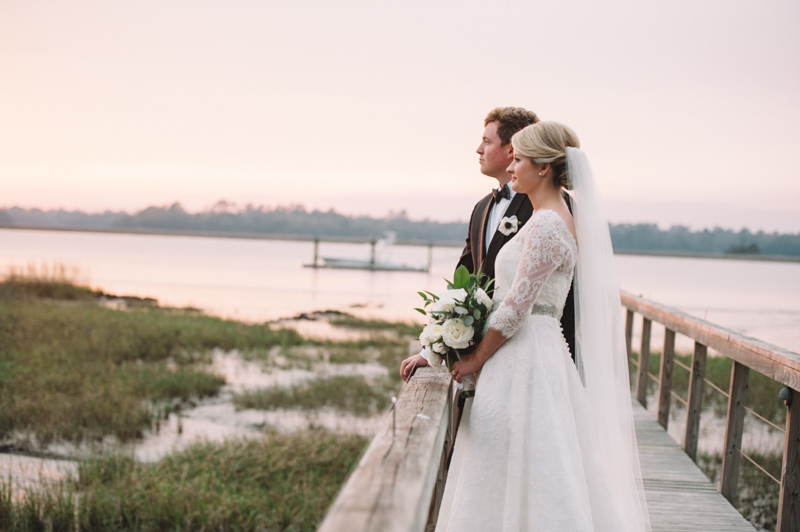 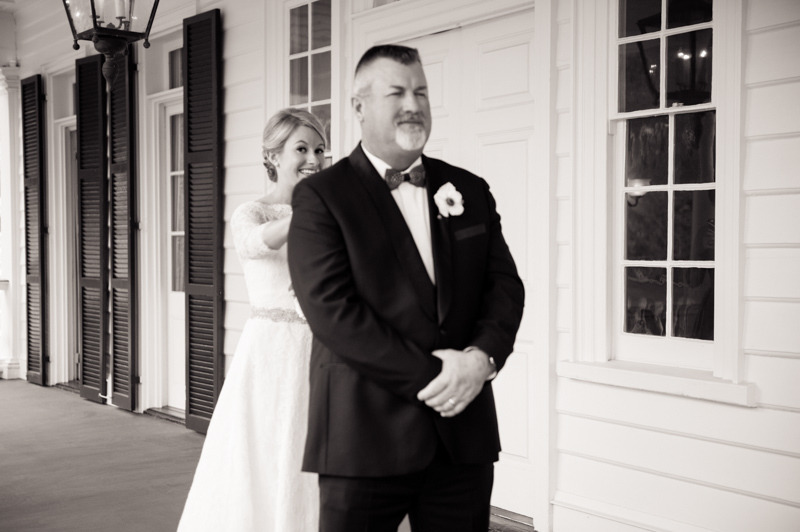 College sweethearts Anna and Woody were married at Lowndes Grove on Feburary 18,2017. 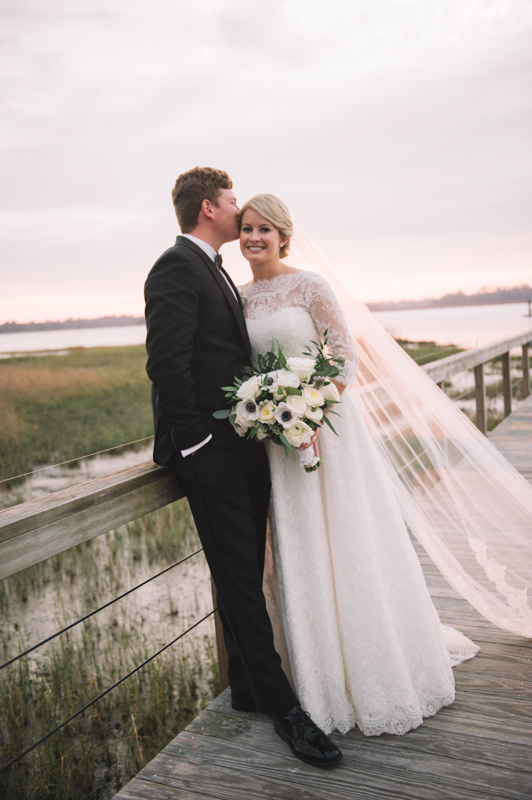 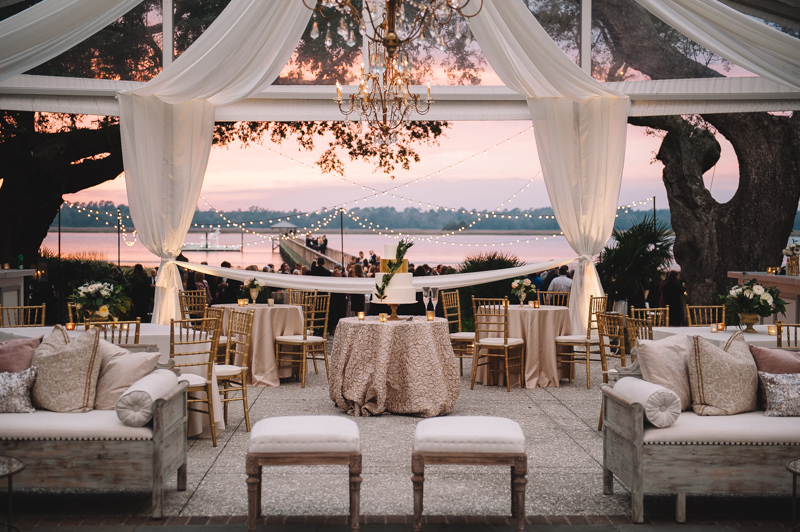 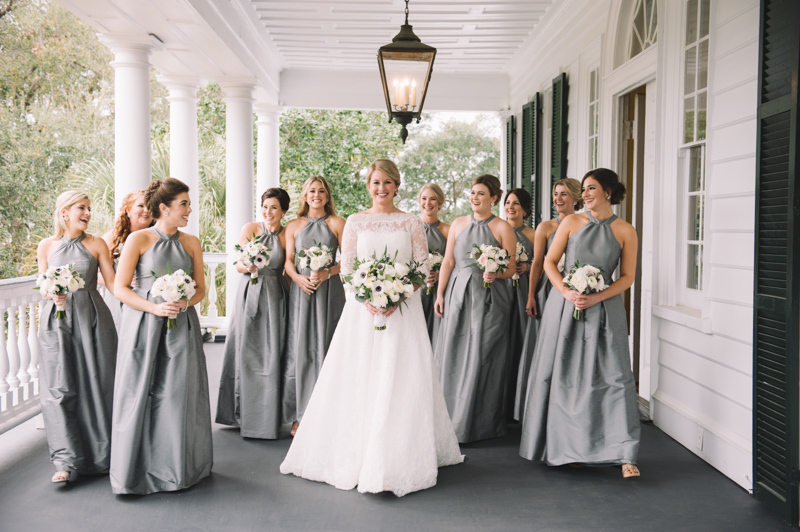 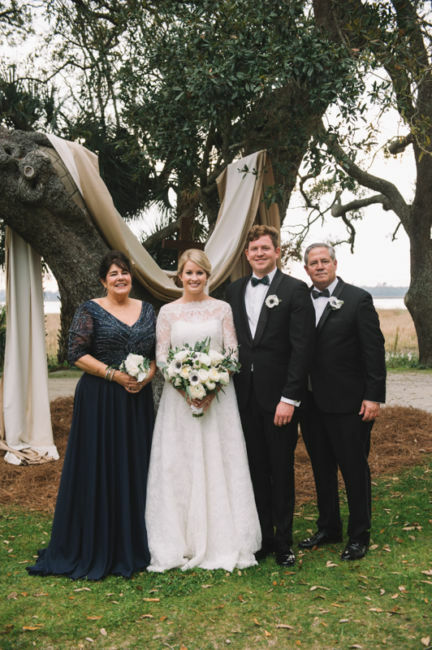 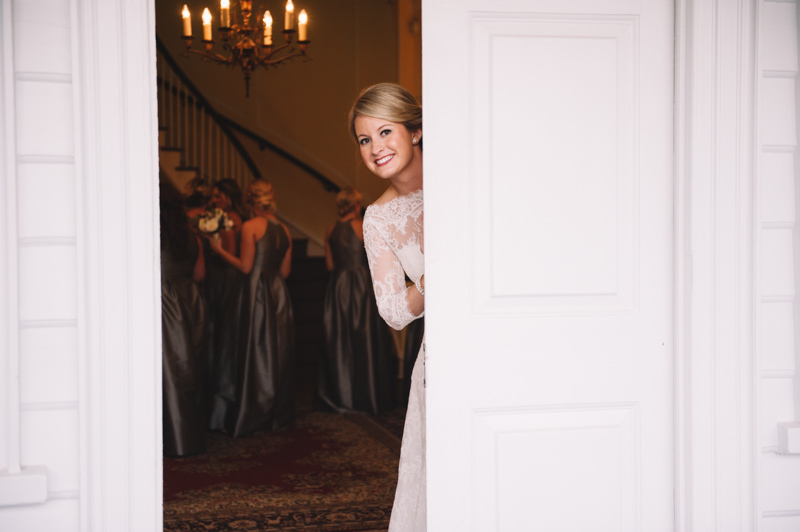 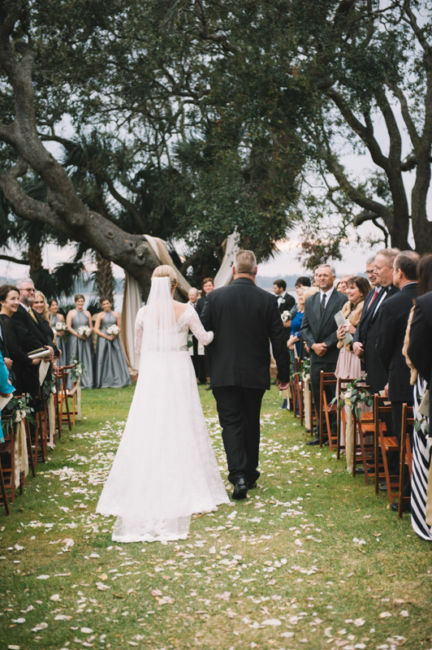 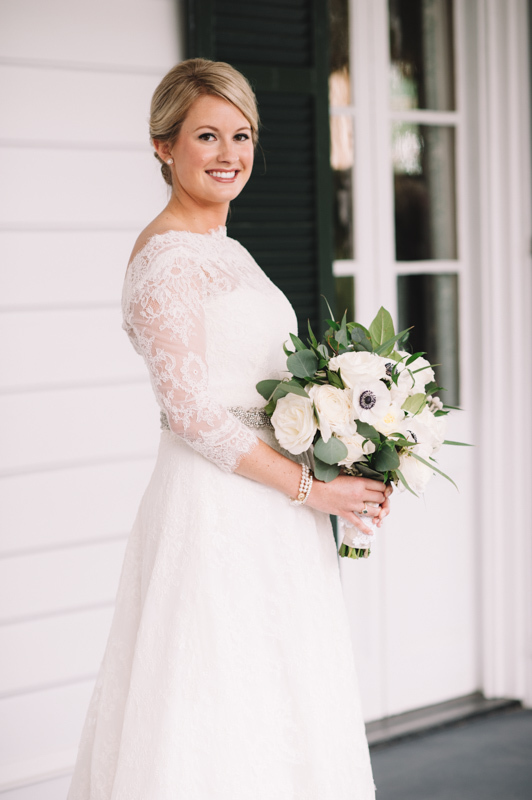 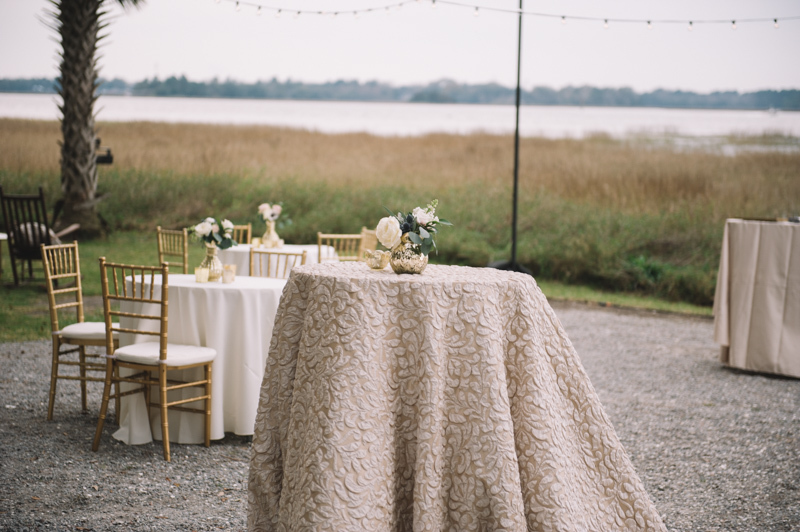 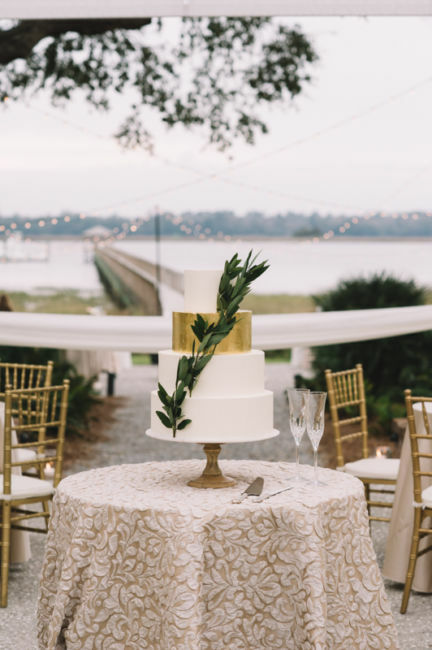 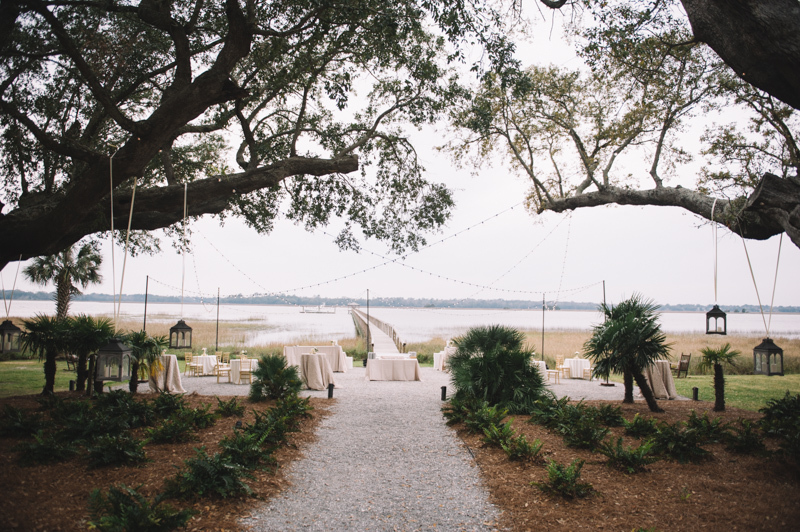 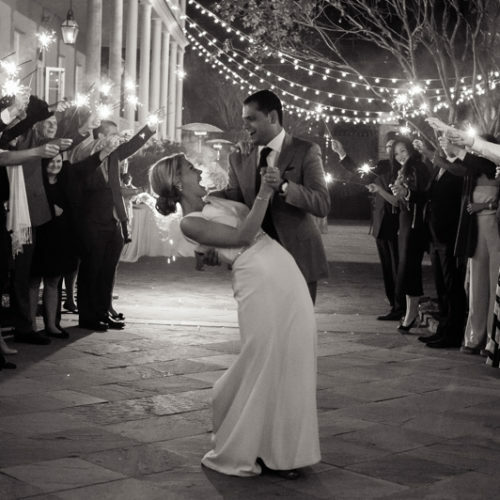 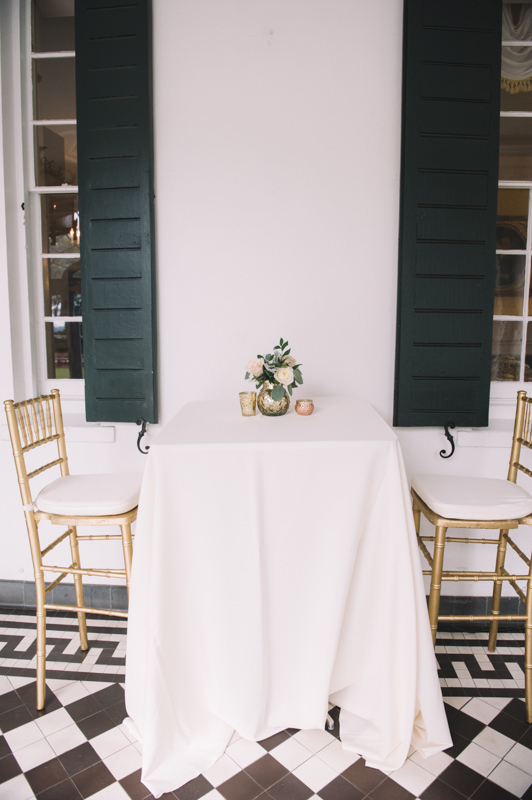 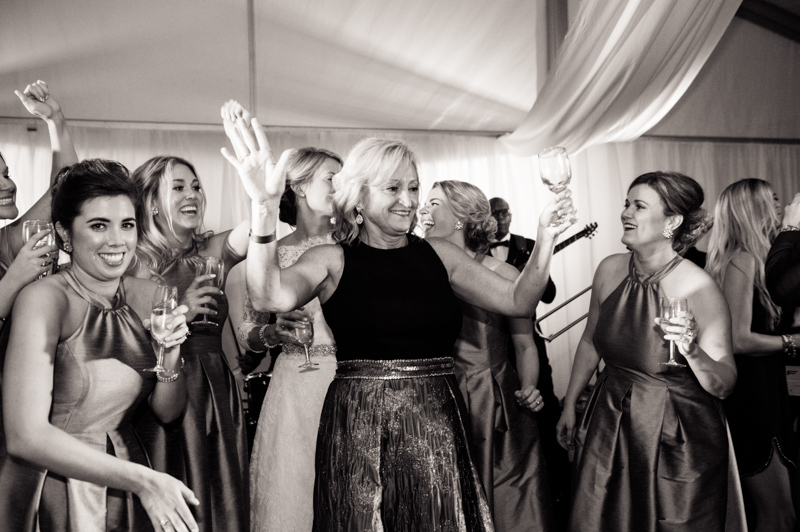 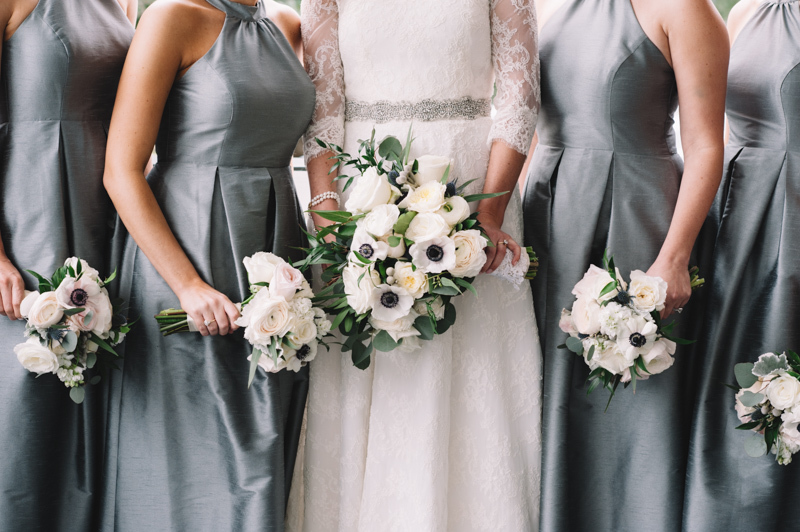 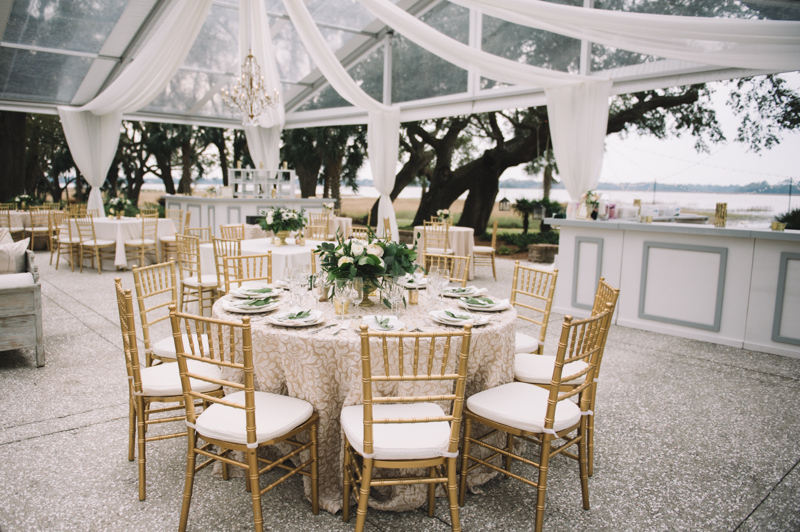 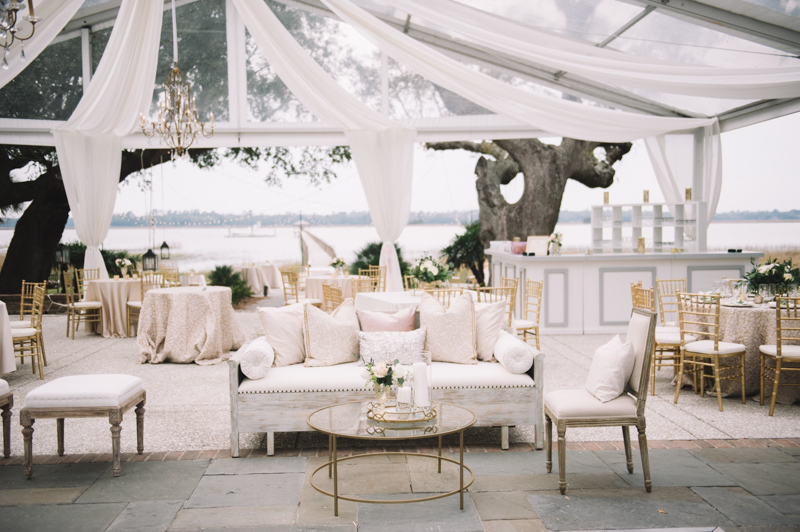 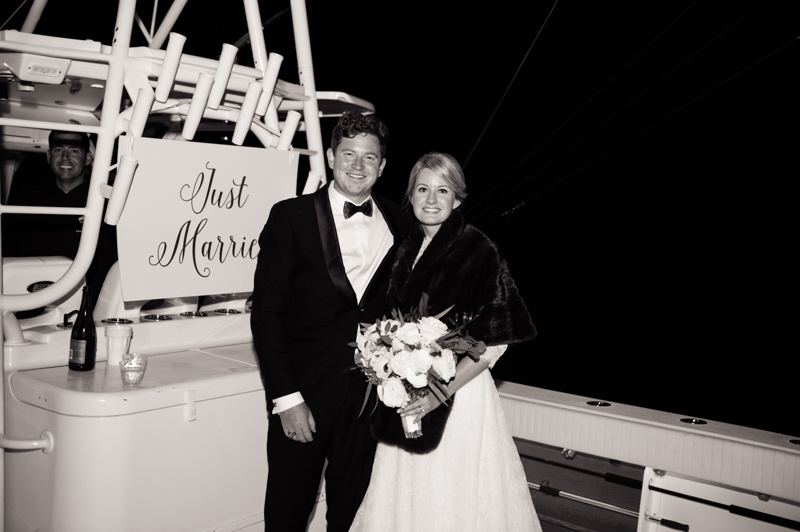 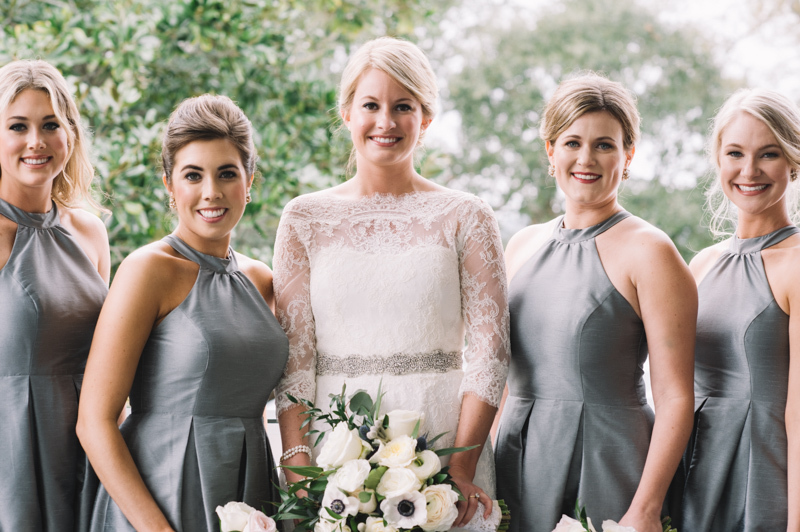 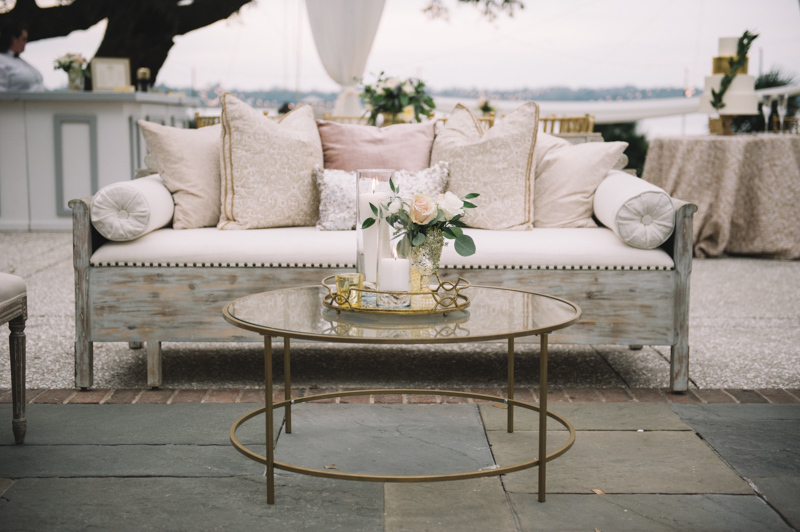 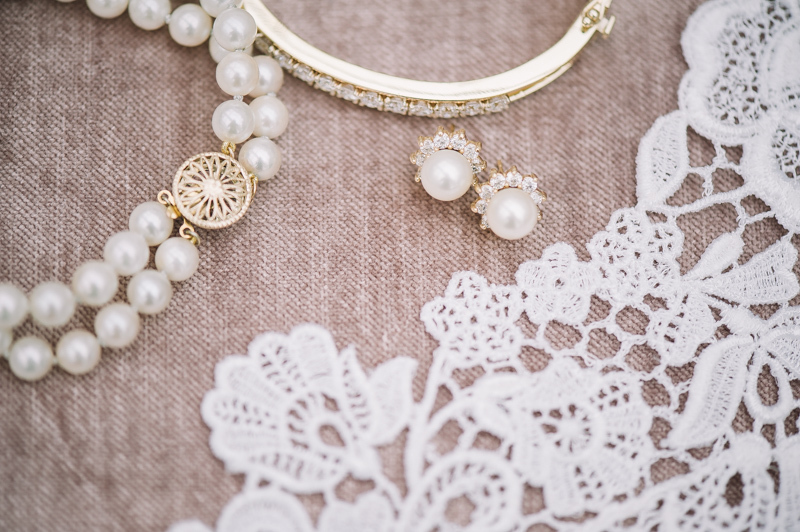 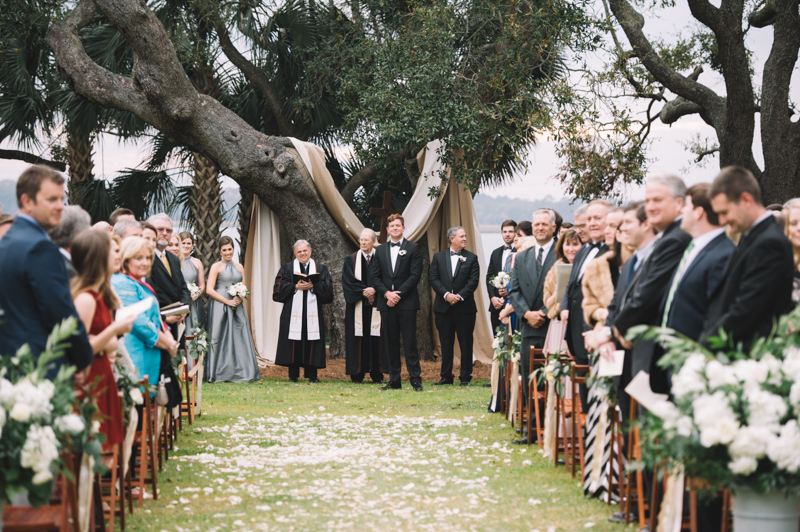 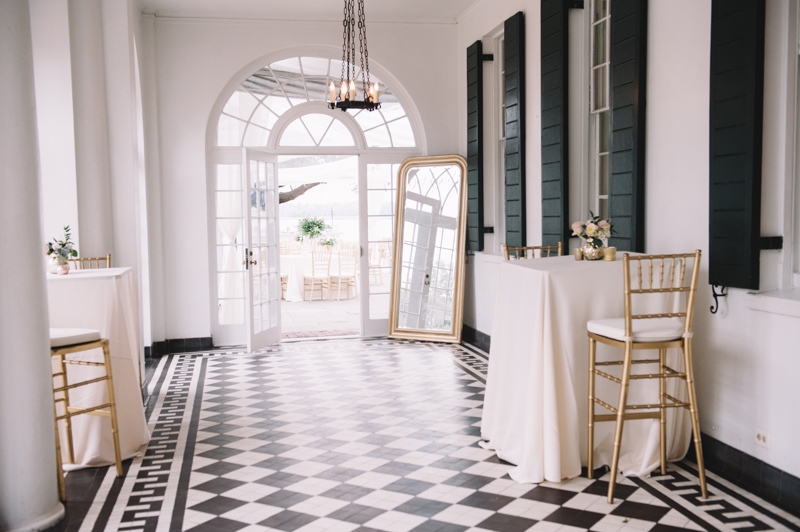 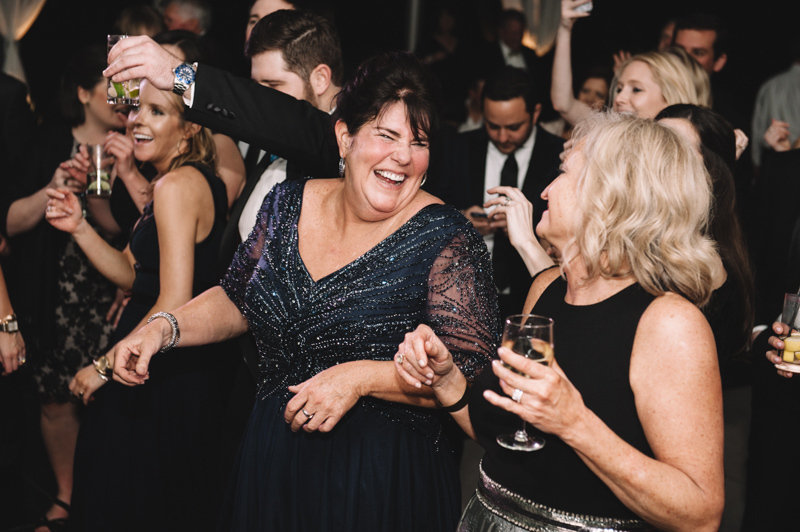 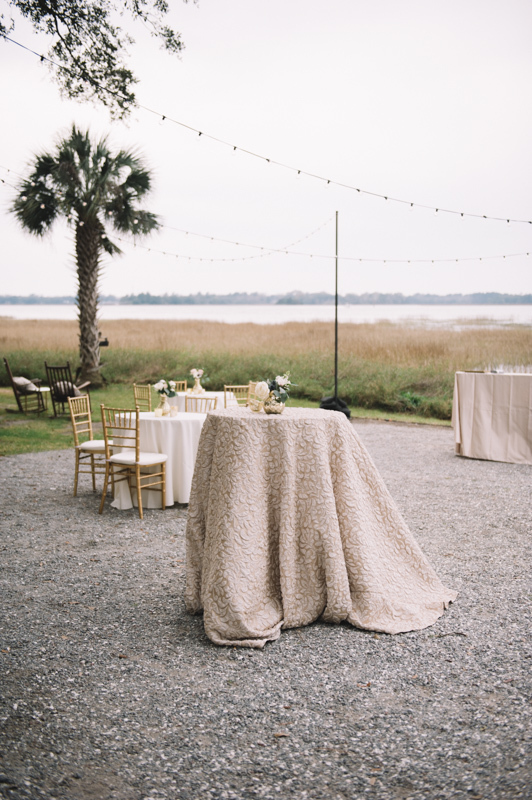 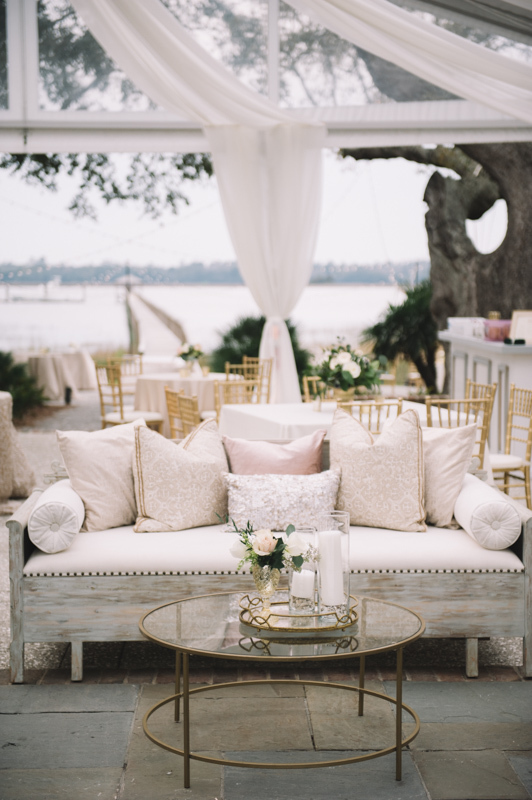 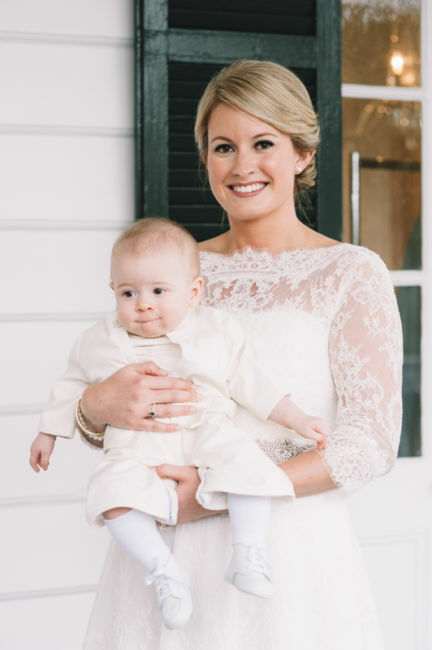 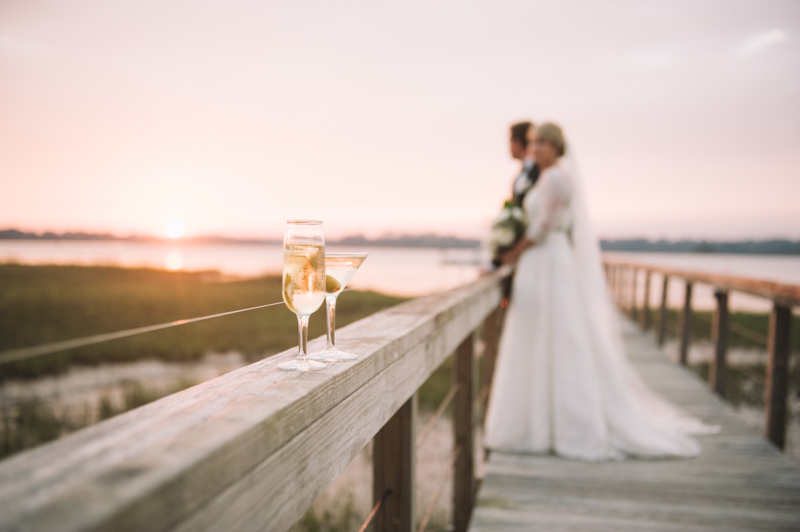 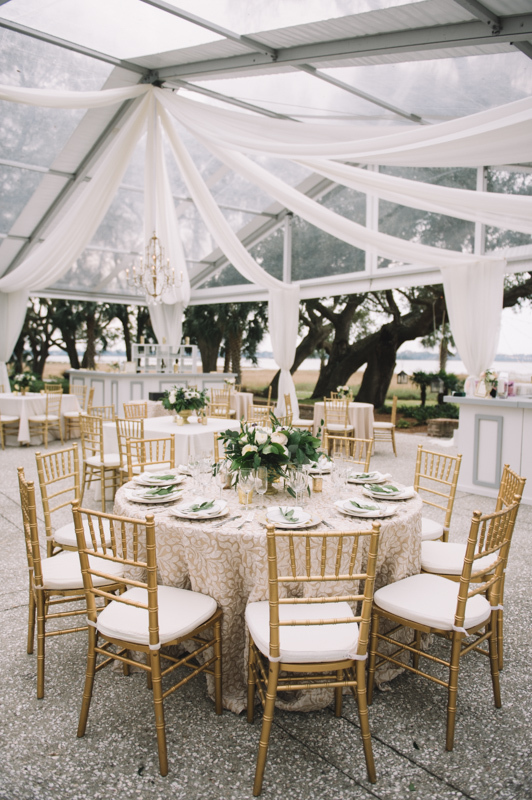 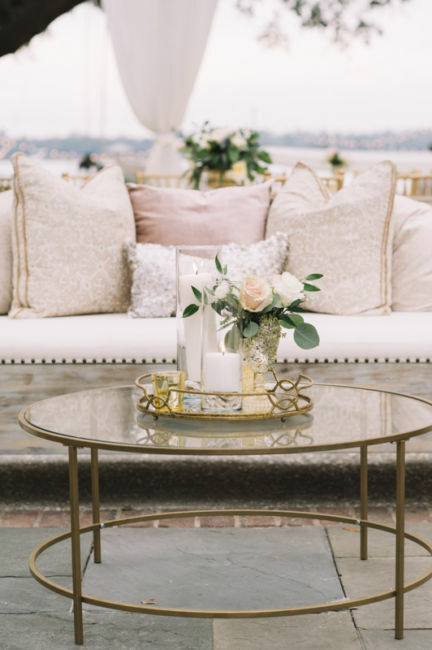 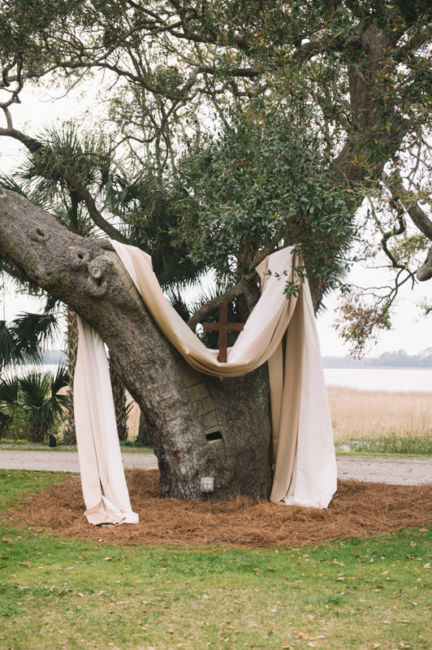 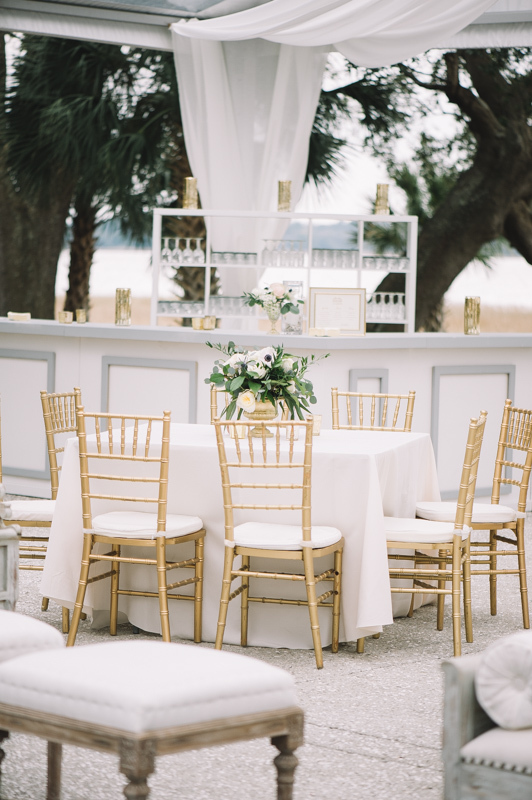 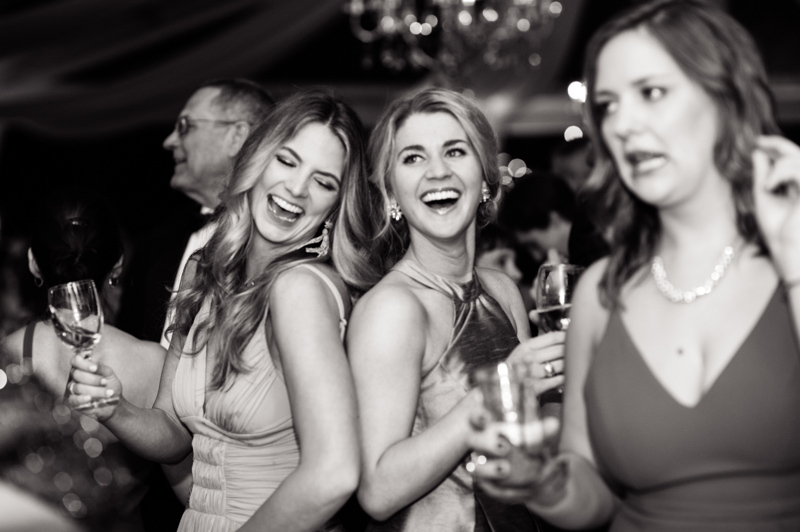 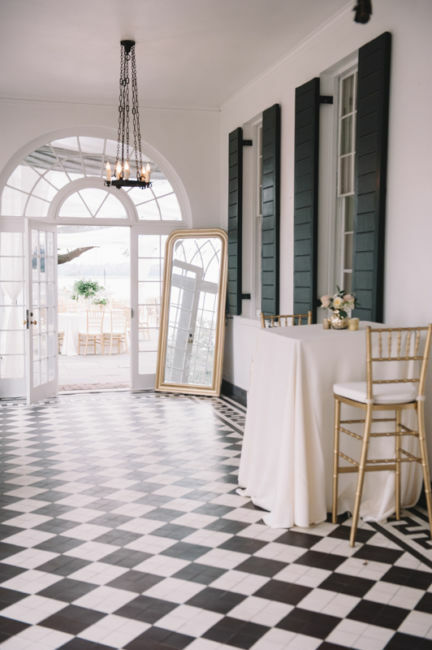 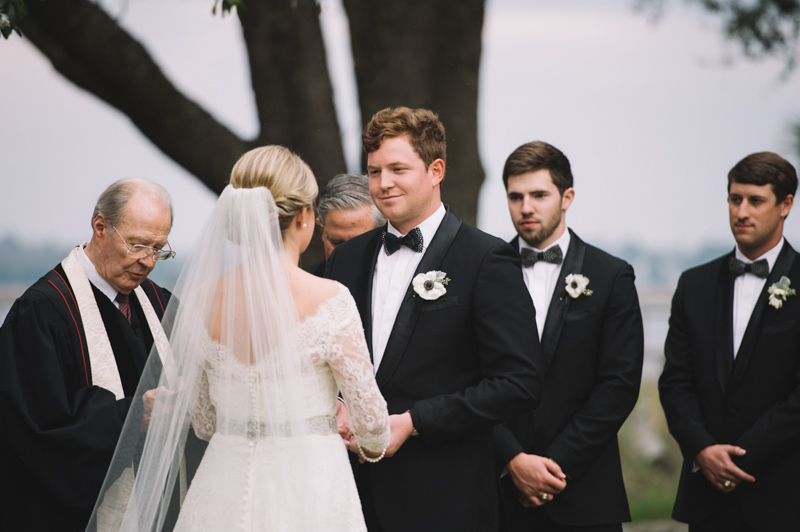 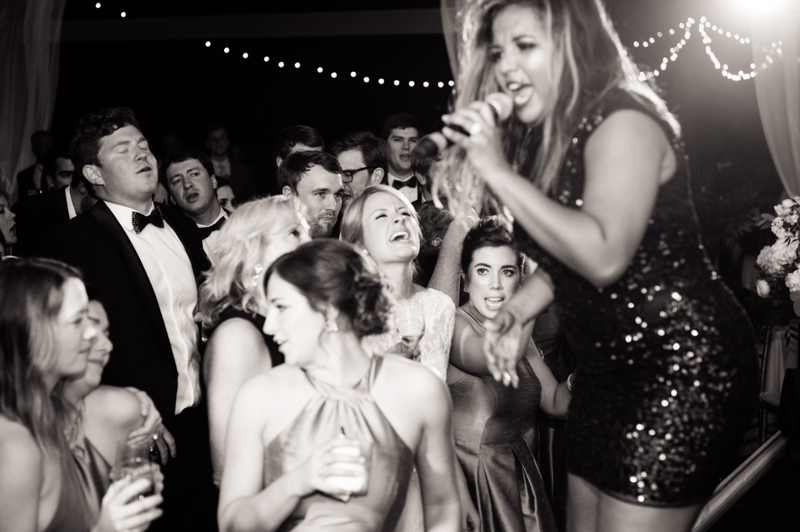 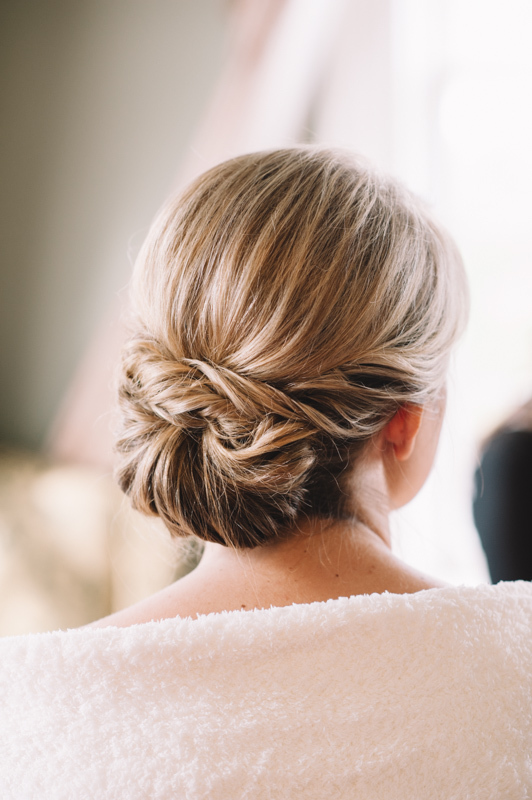 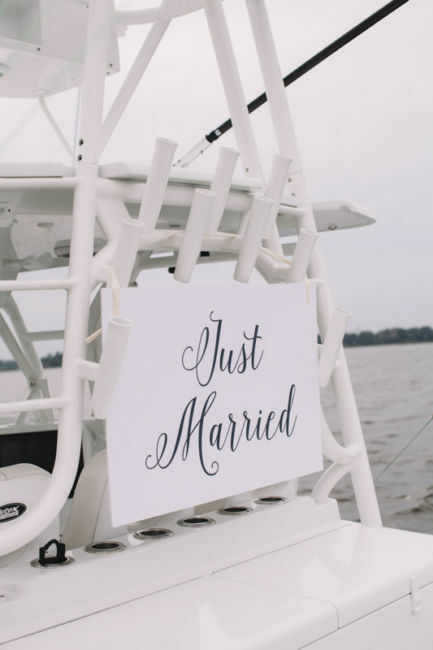 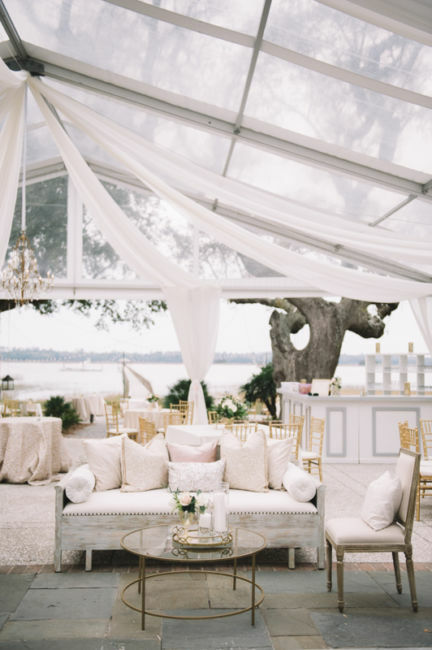 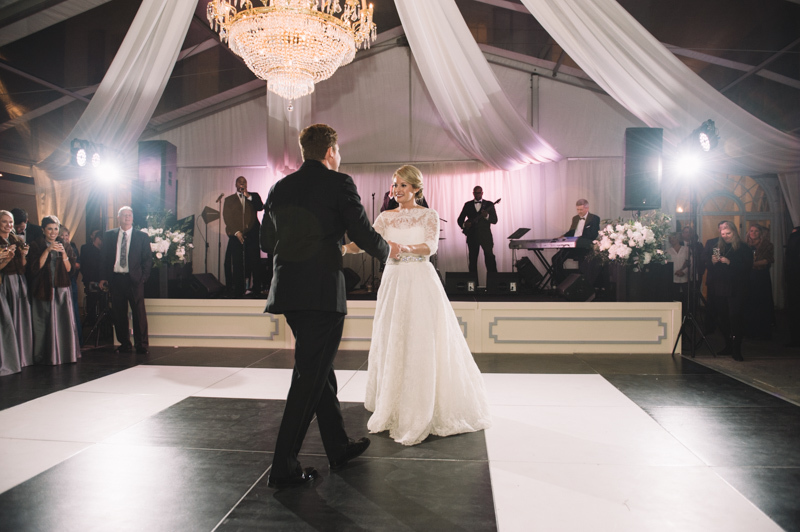 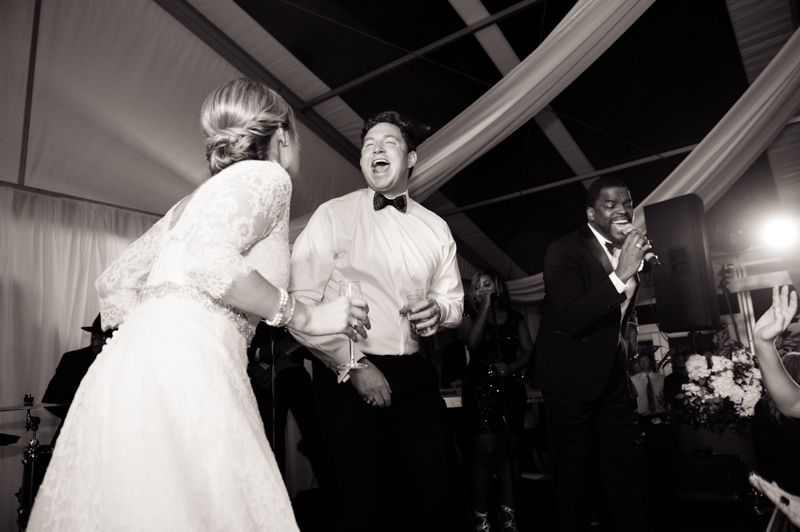 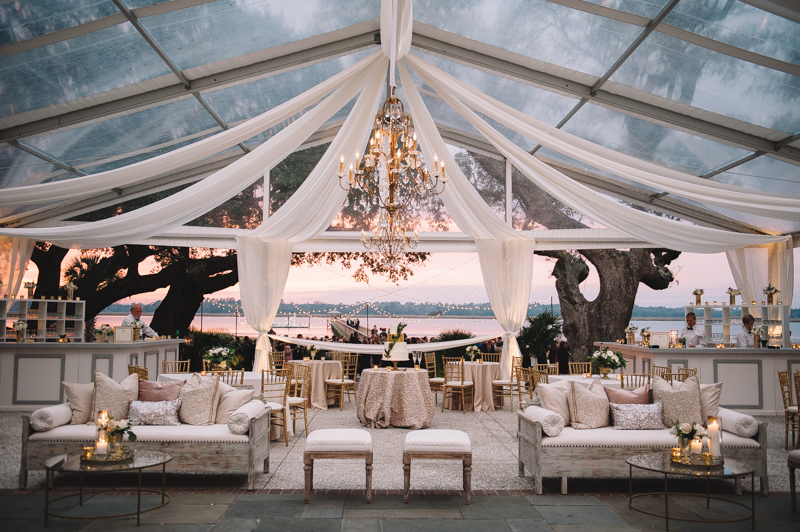 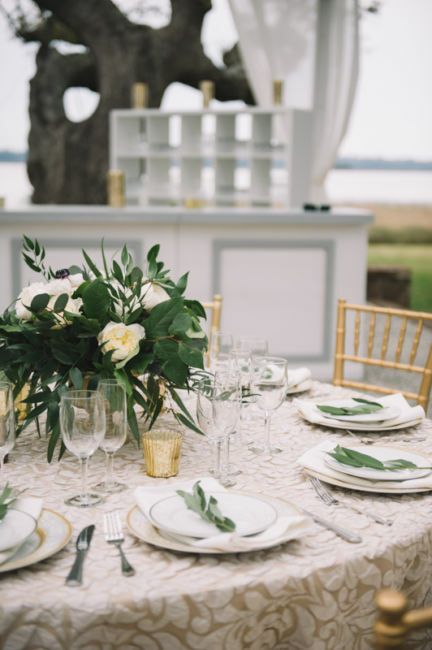 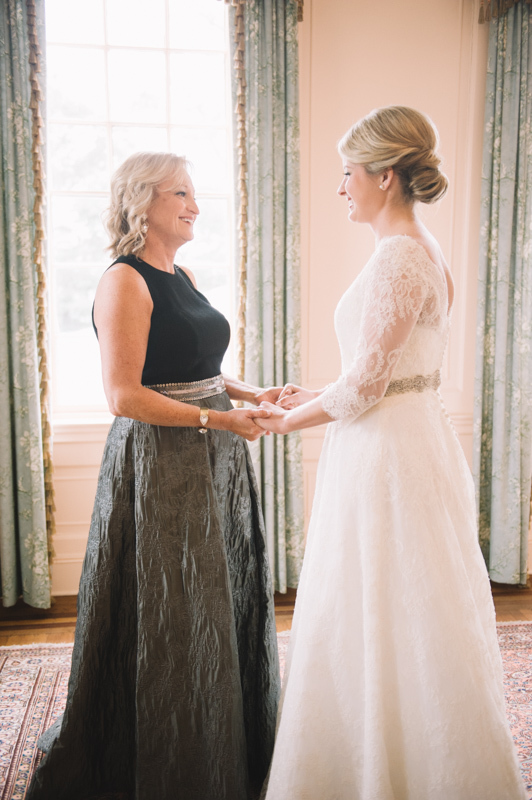 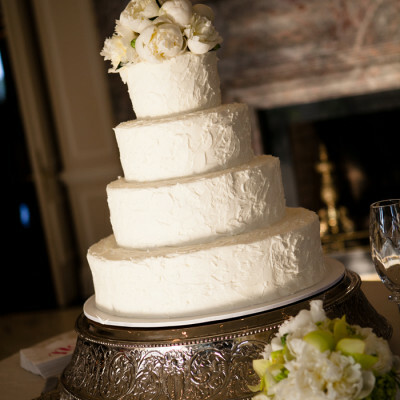 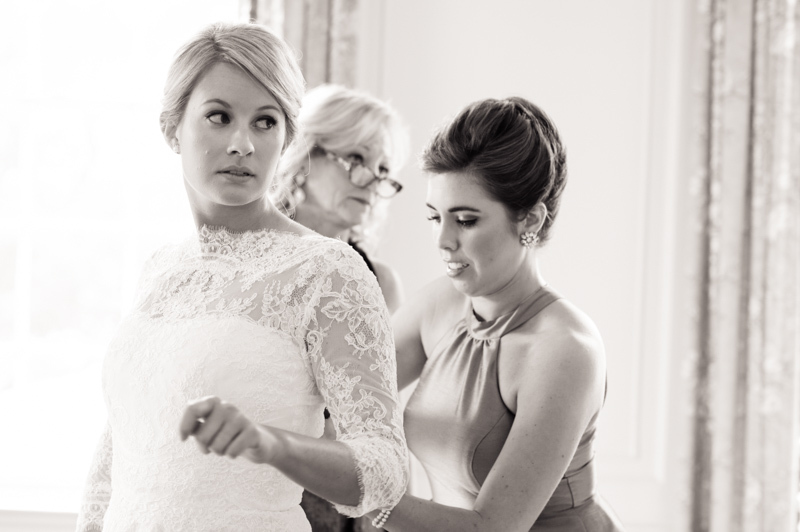 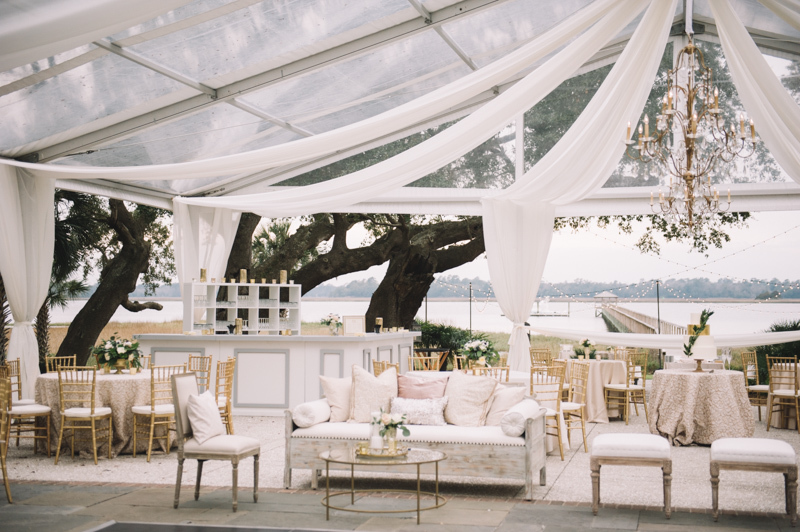 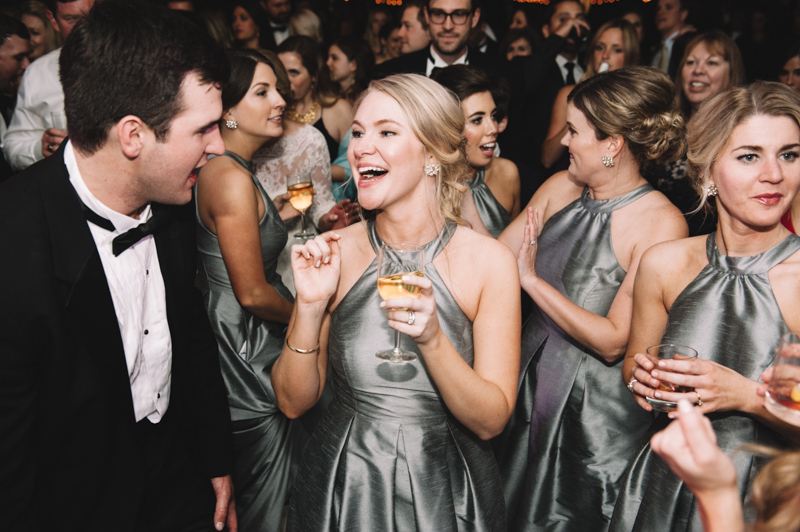 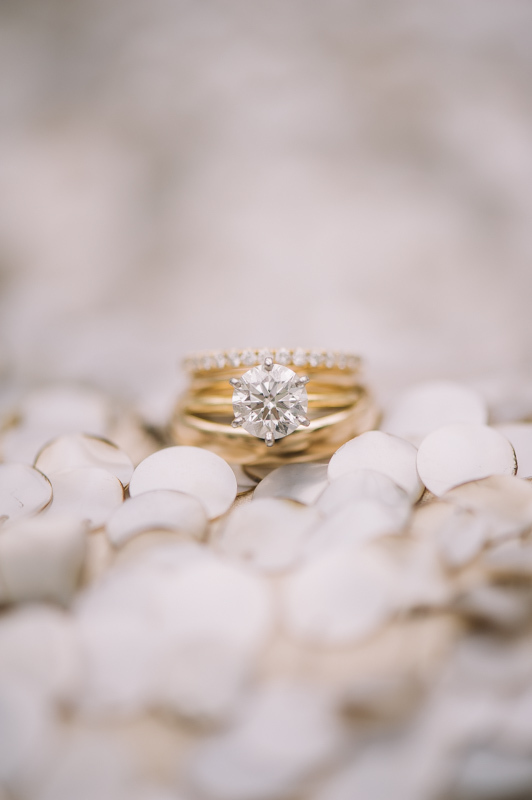 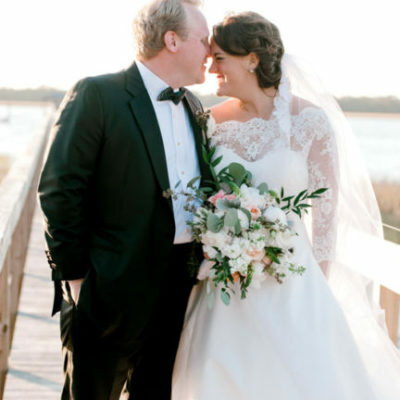 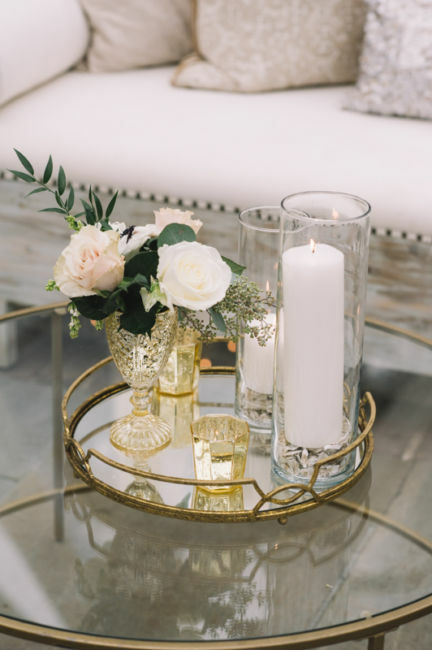 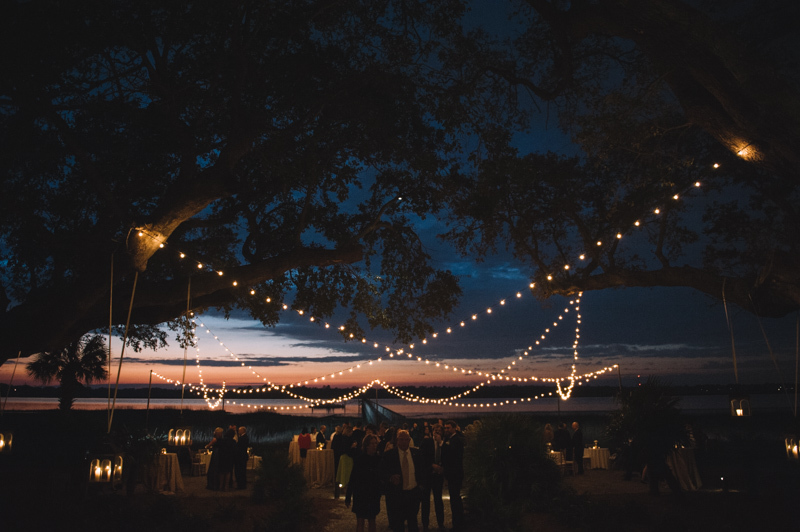 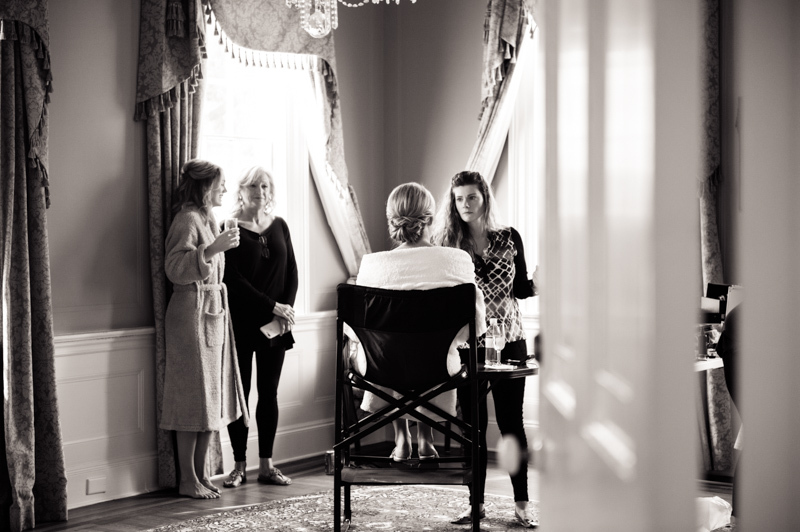 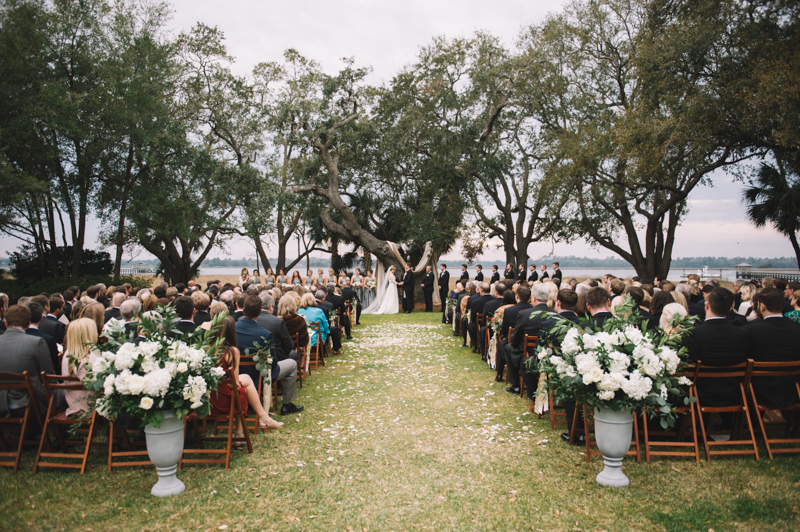 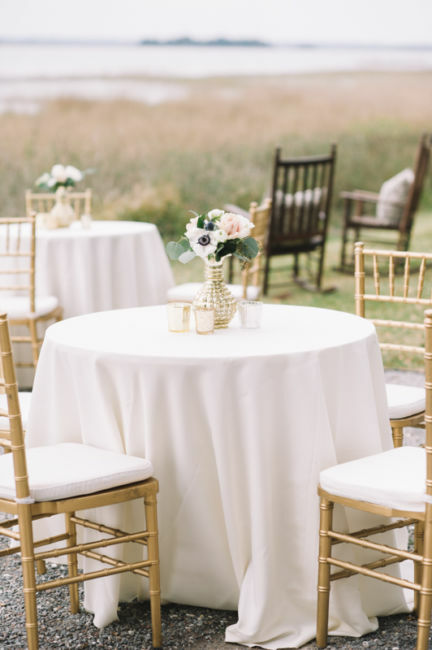 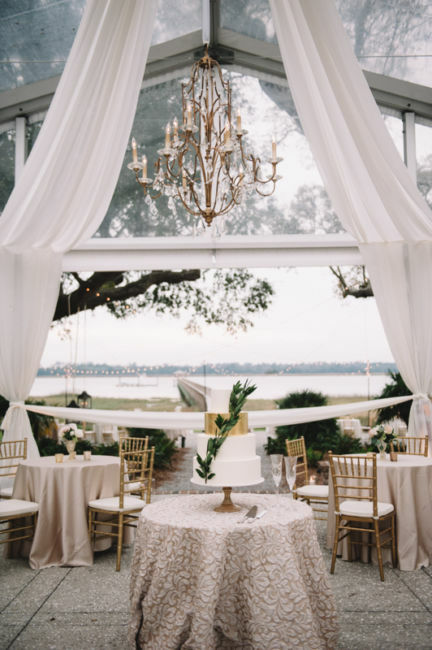 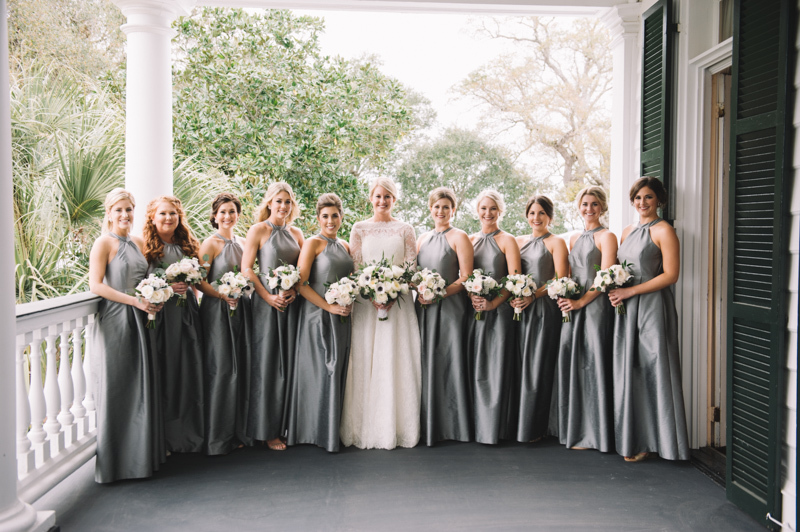 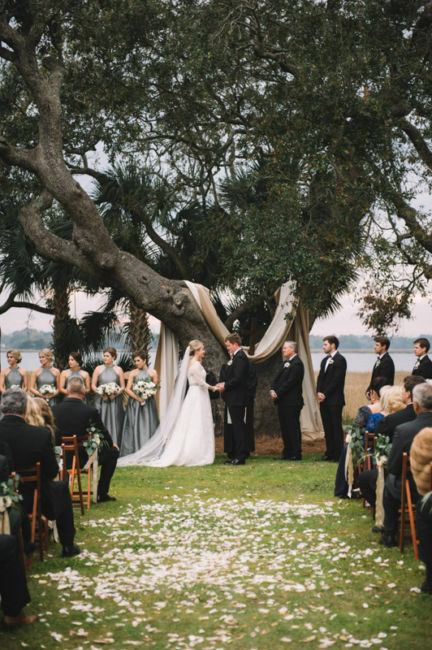 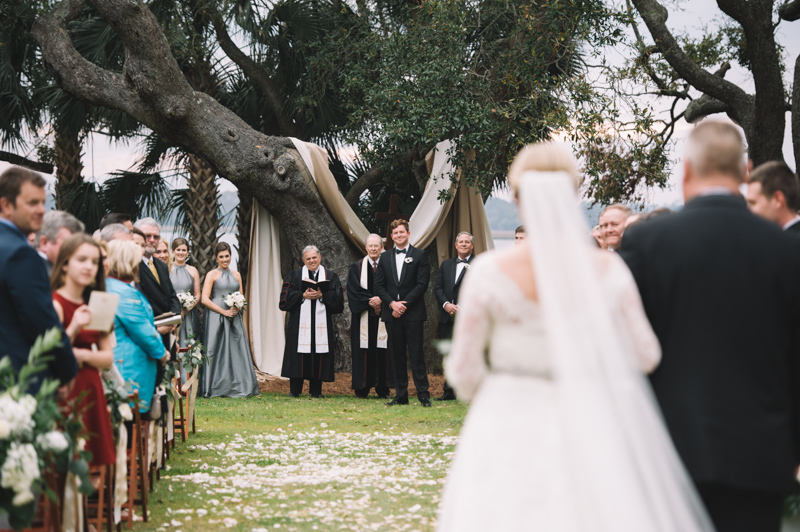 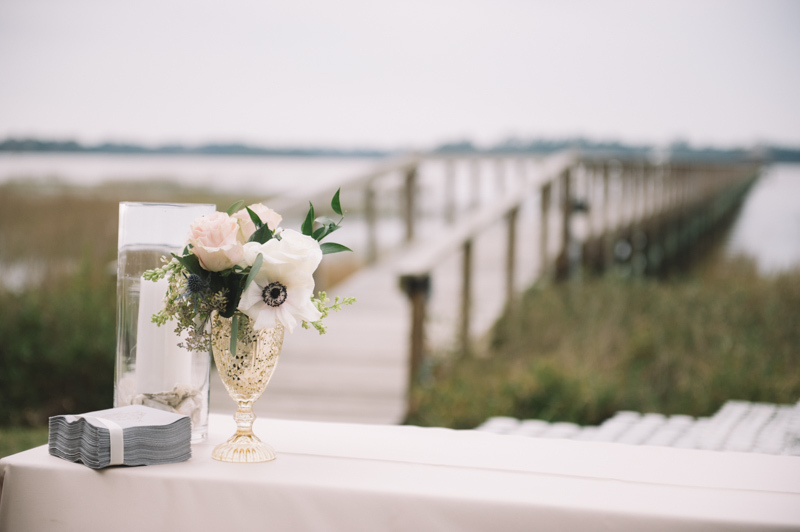 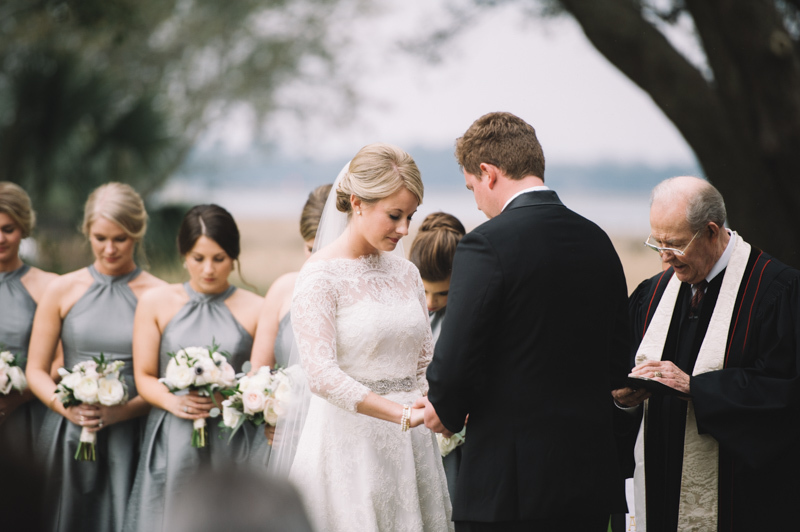 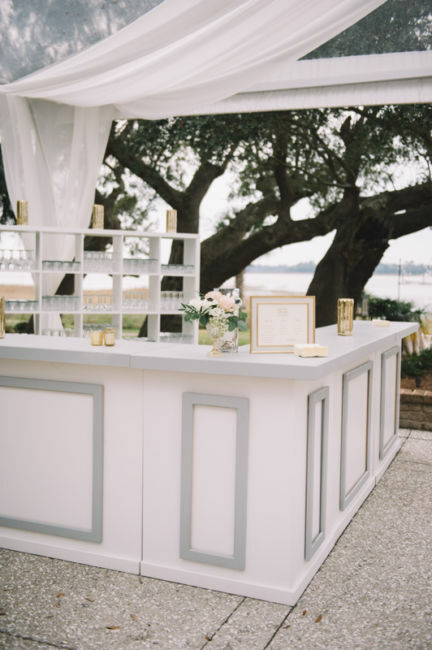 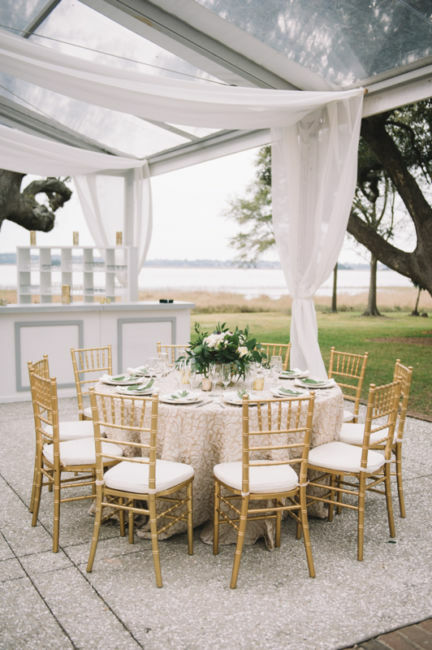 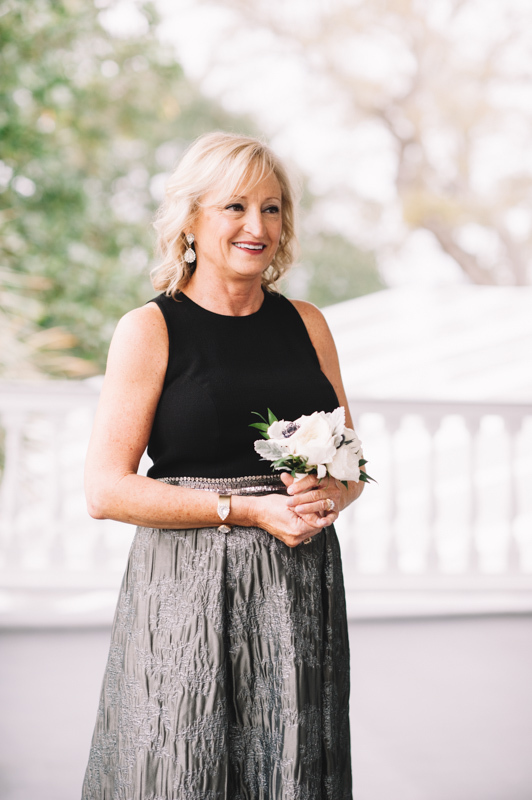 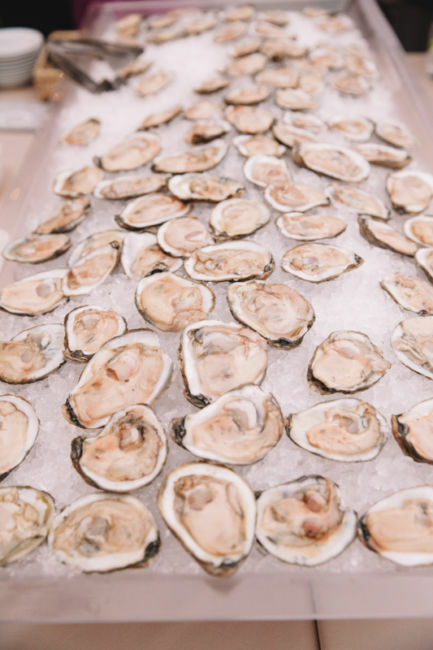 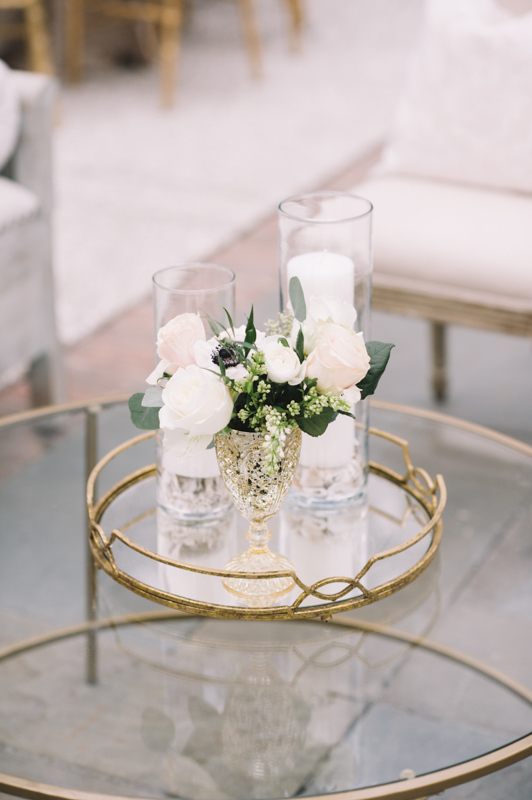 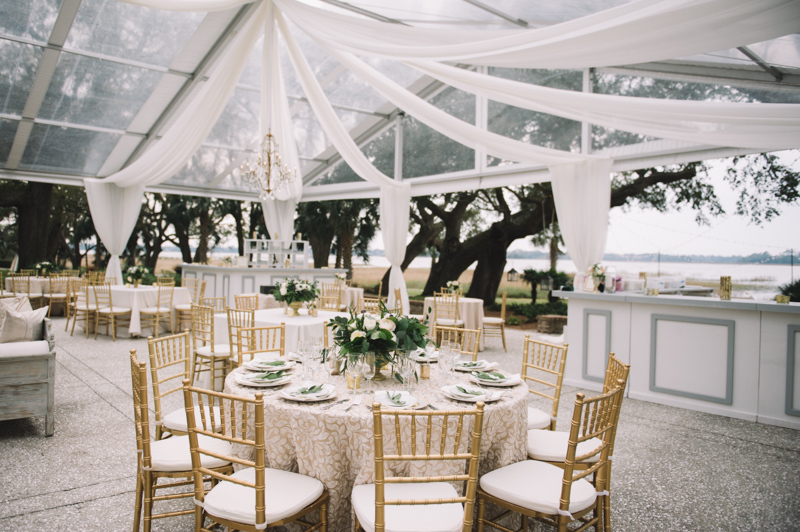 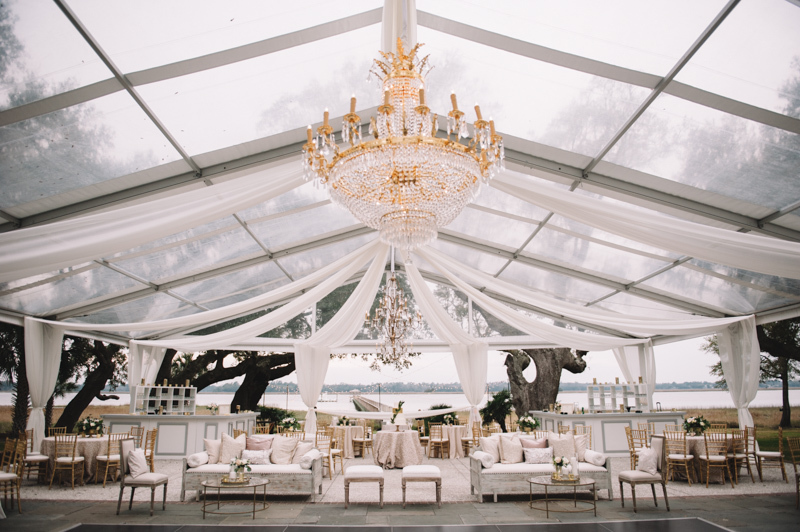 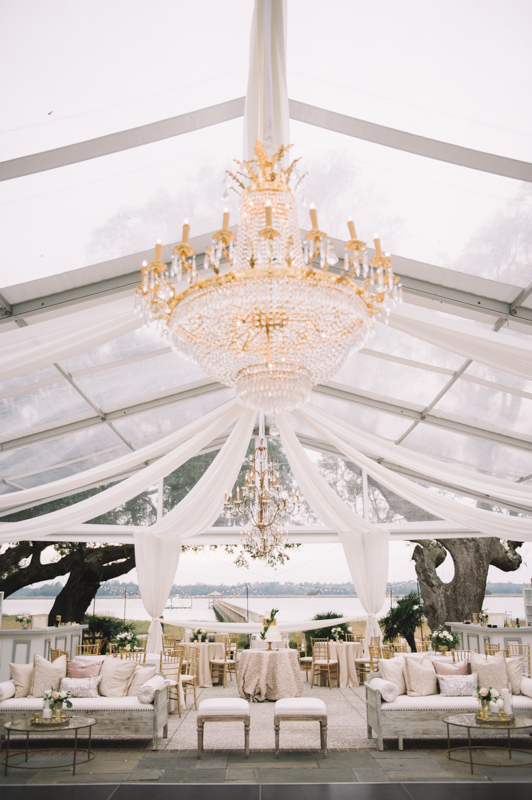 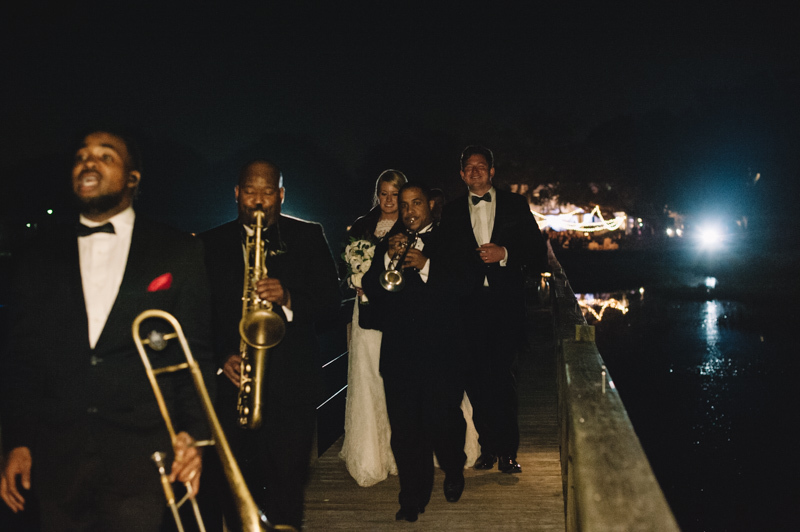 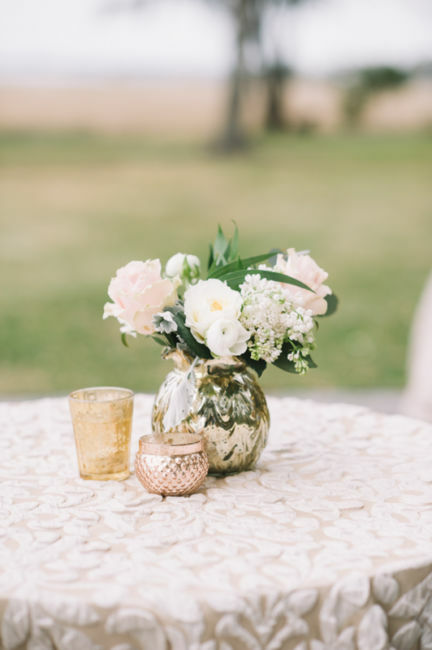 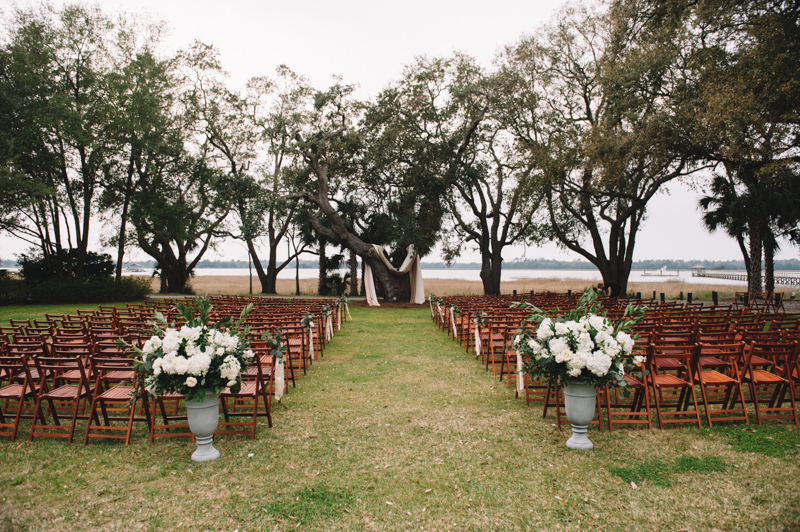 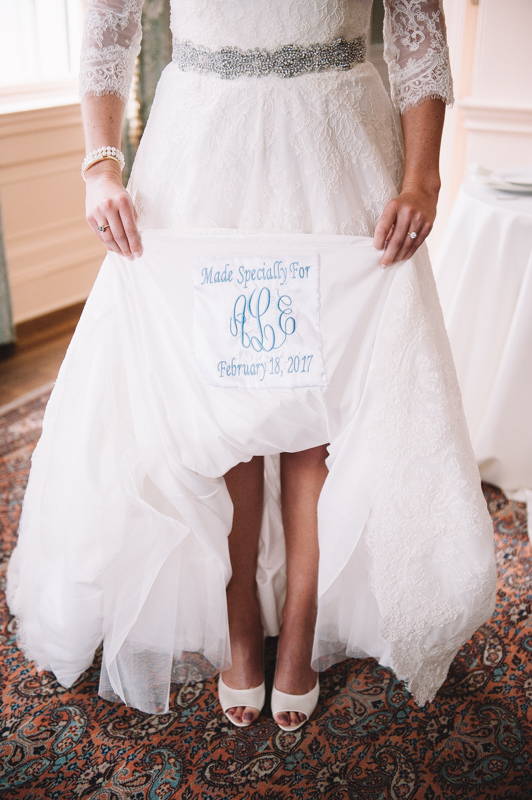 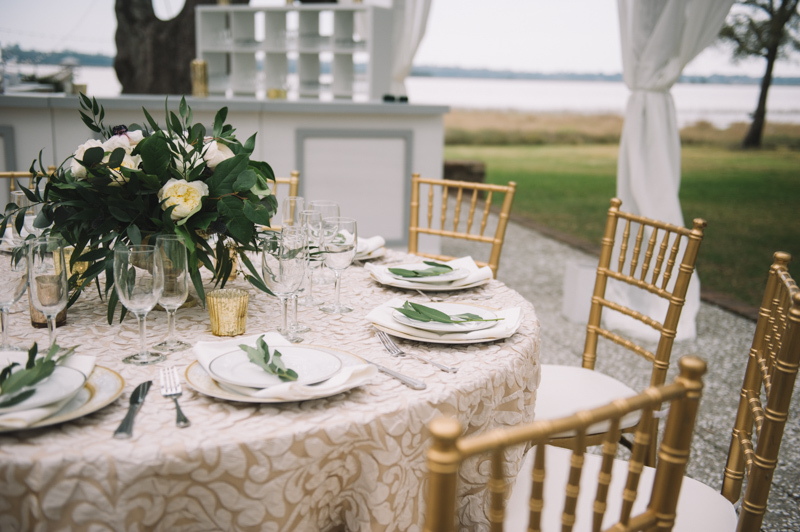 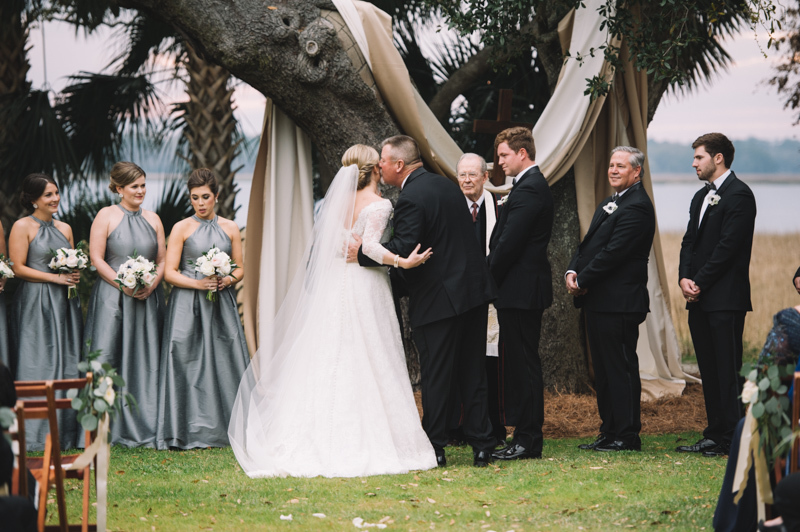 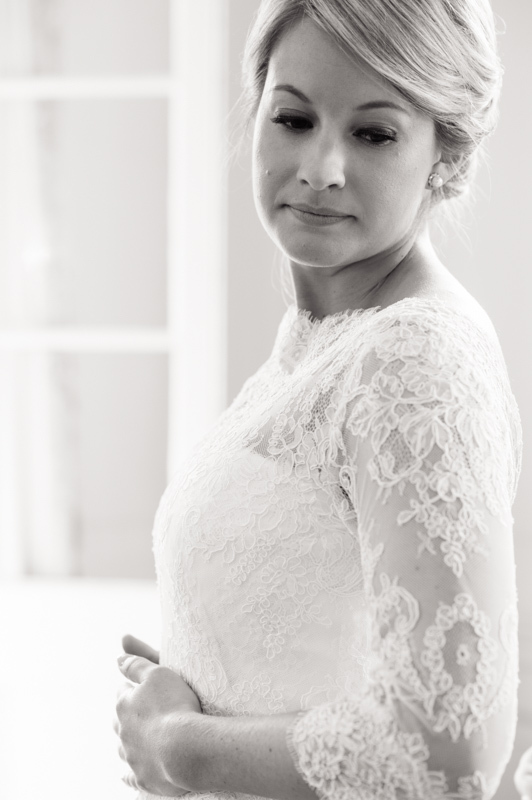 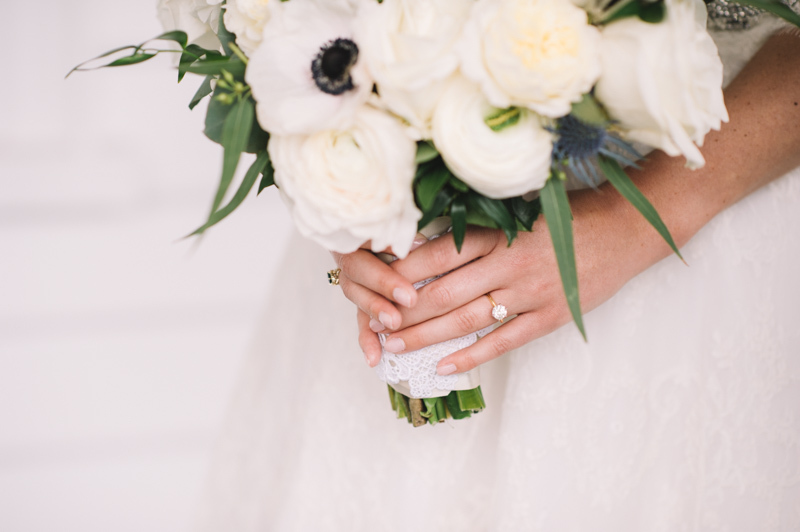 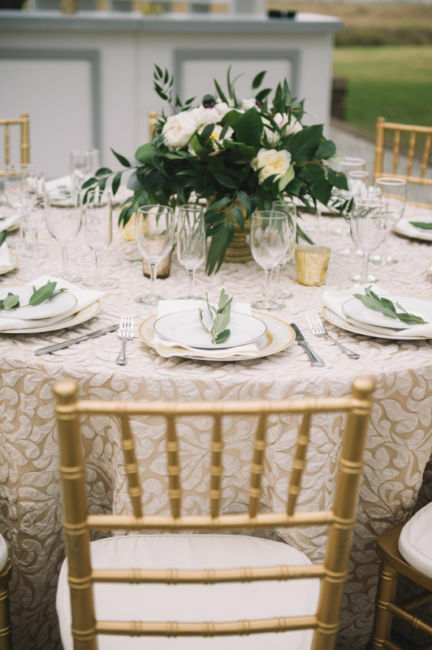 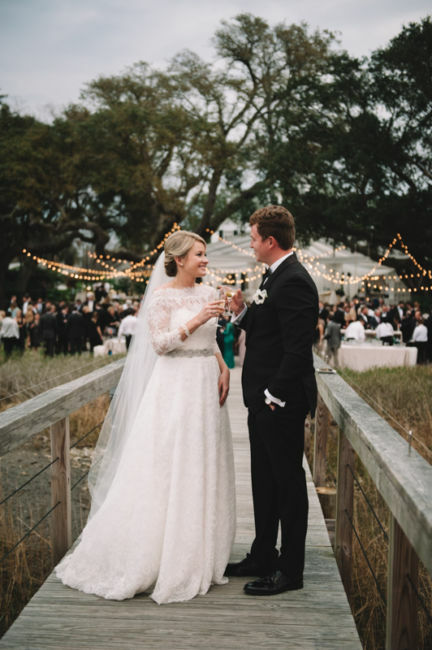 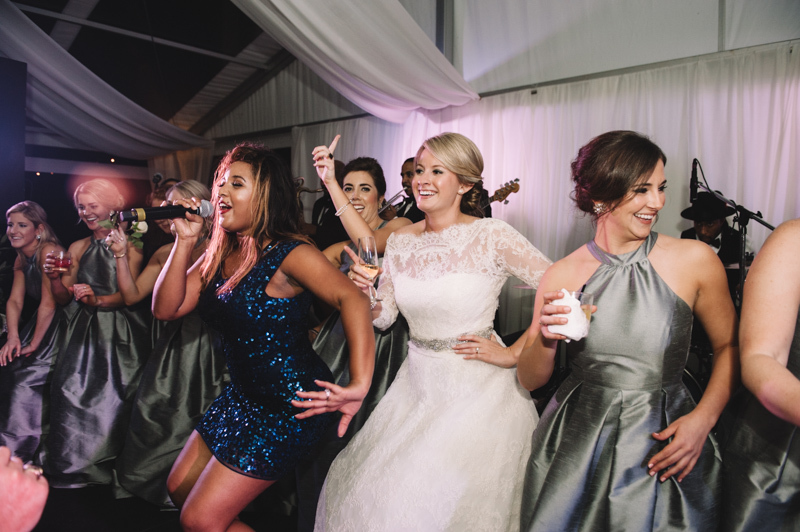 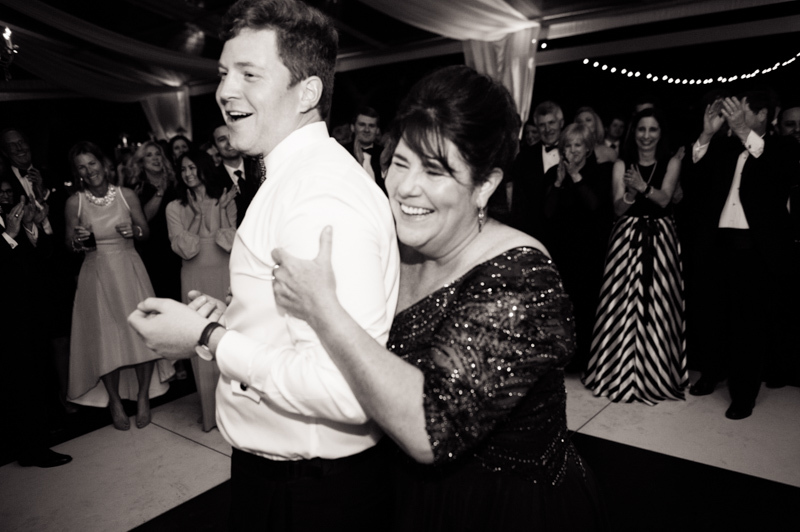 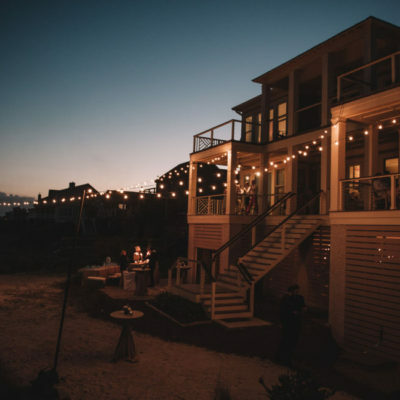 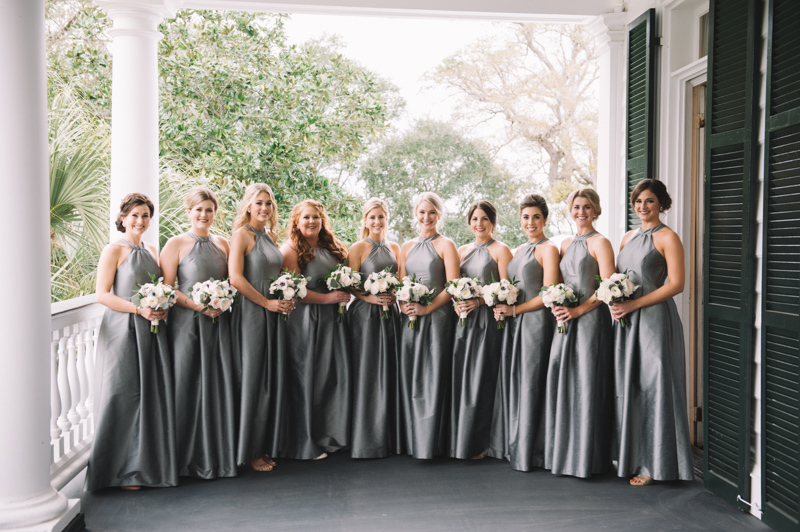 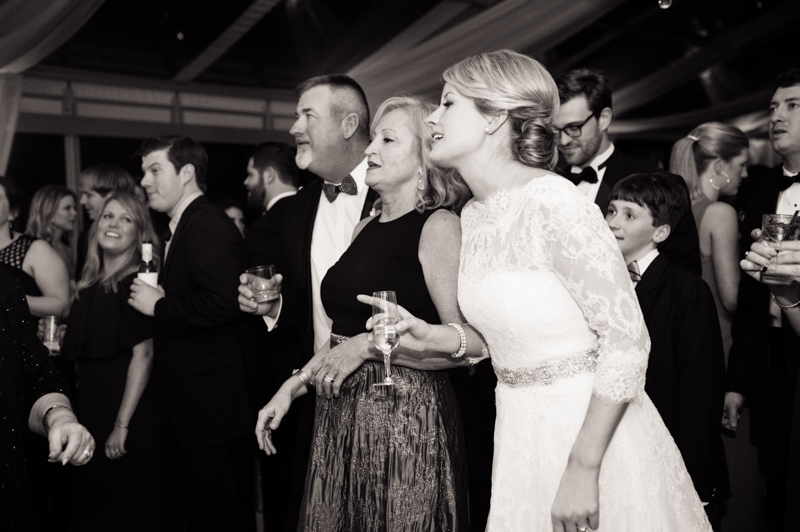 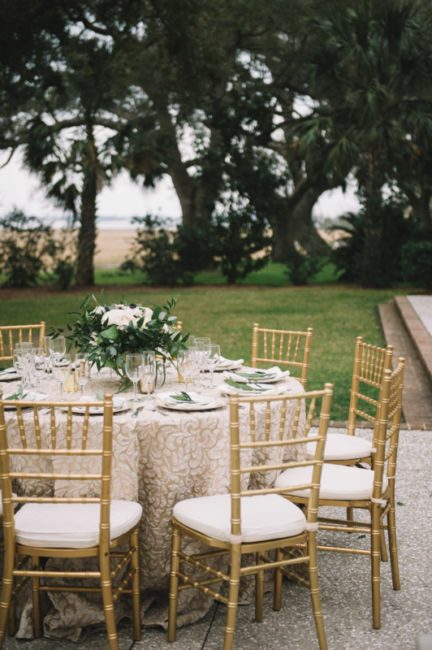 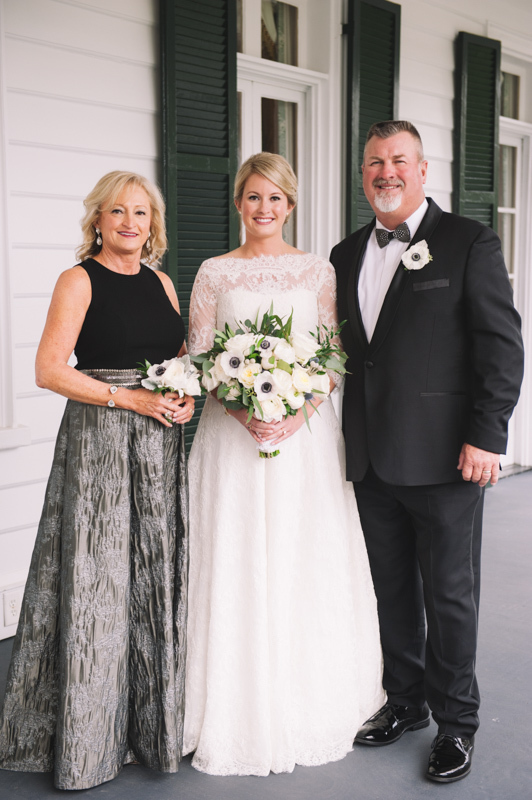 Haley Kelly of A Charleston Bride, planned the fabulous wedding day! 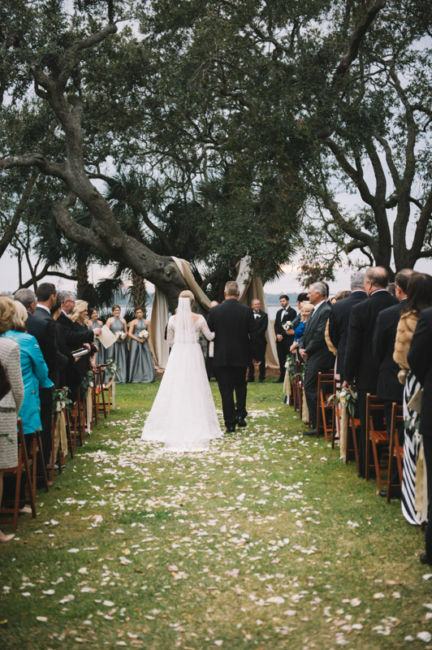 Anna and Woody’s ceremony was during South Eastern Wildlife Exposition (SEWE) weekend; and, they wanted to incorporate a little wildlife on their big day. 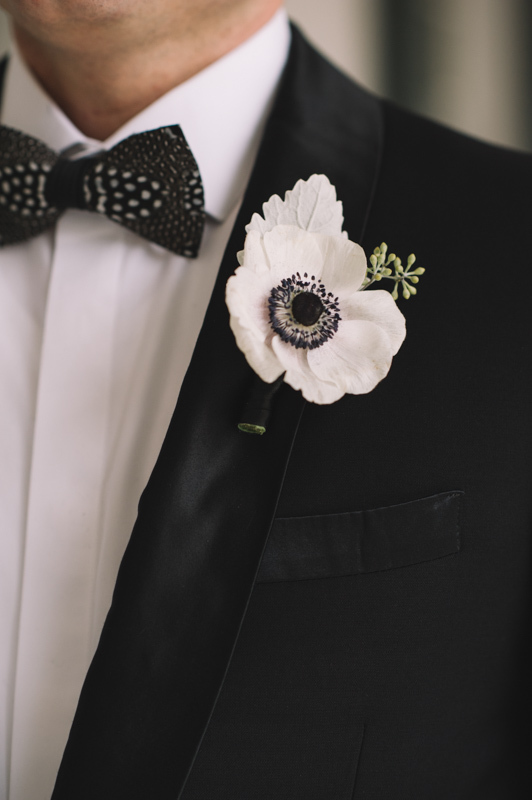 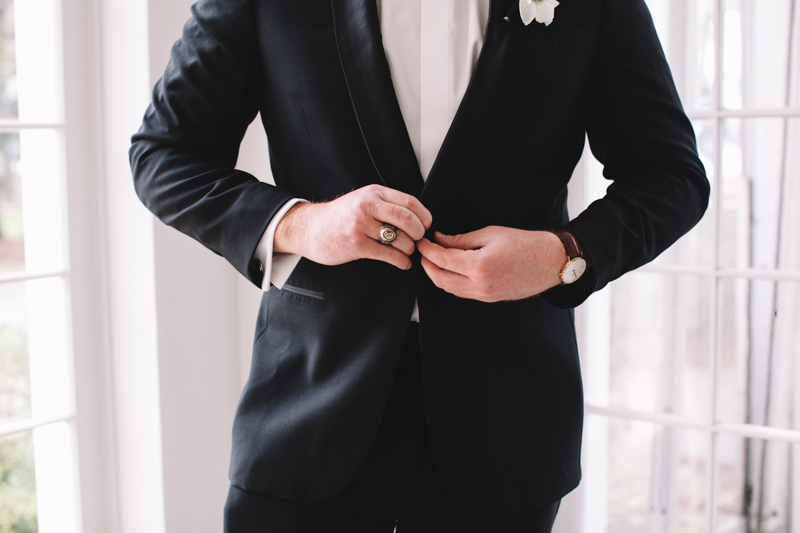 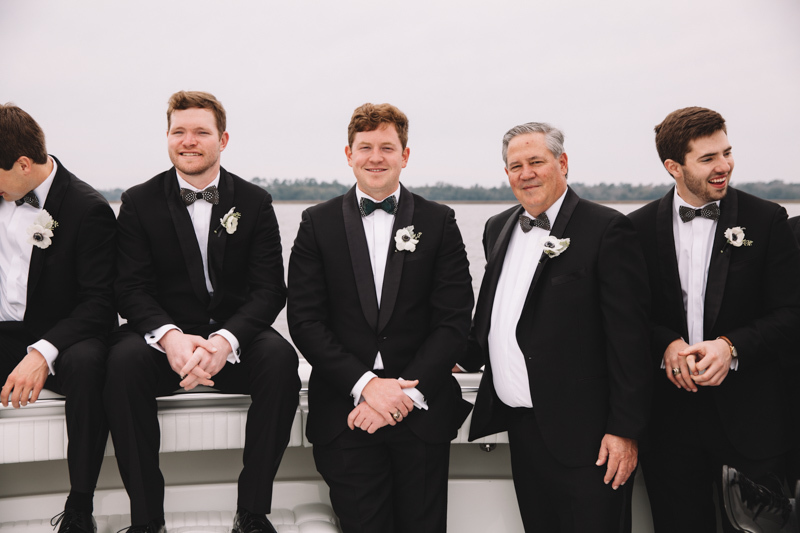 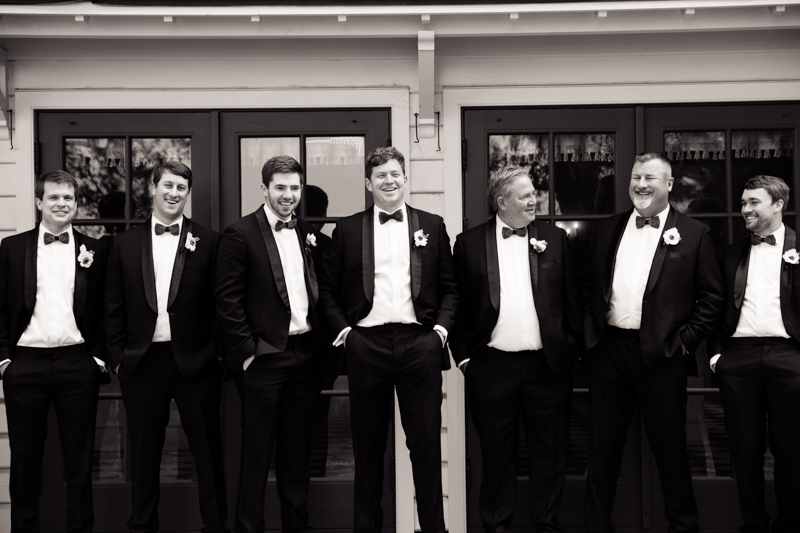 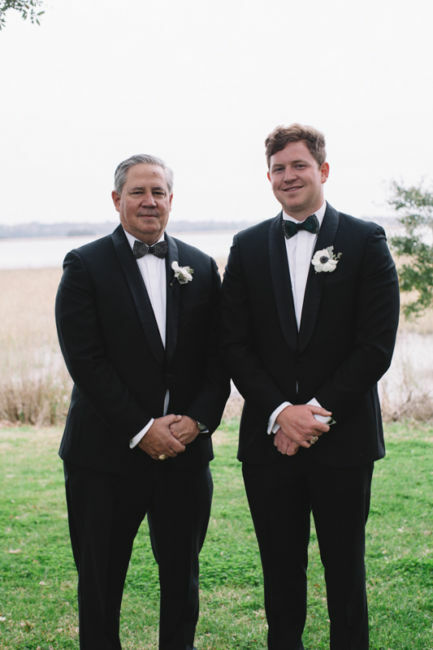 Touches of feathers flocked the evening especially in the groomsmen’s Brackish Bowties. 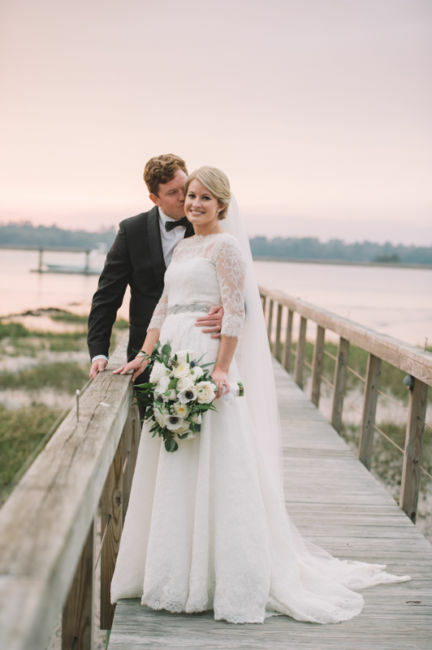 Anna wore a captivating lace gown by Monique Lhuillier. 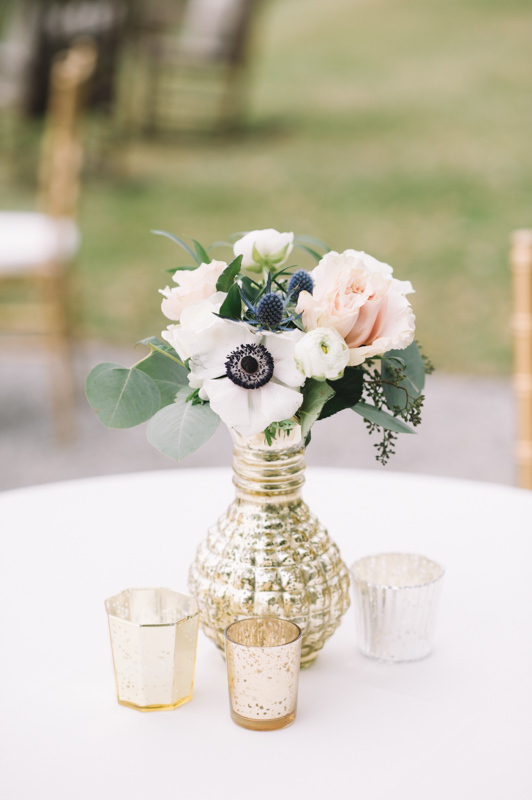 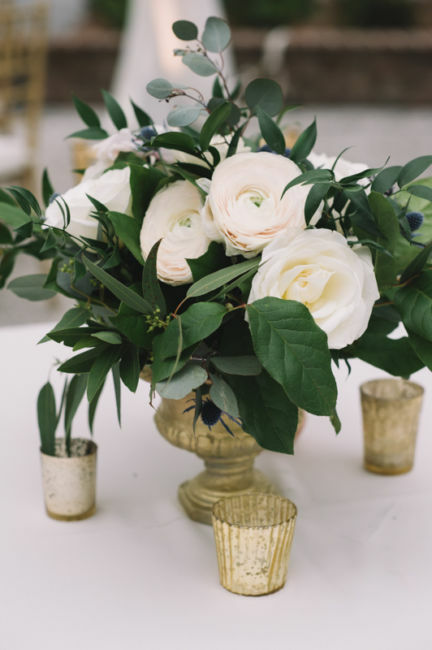 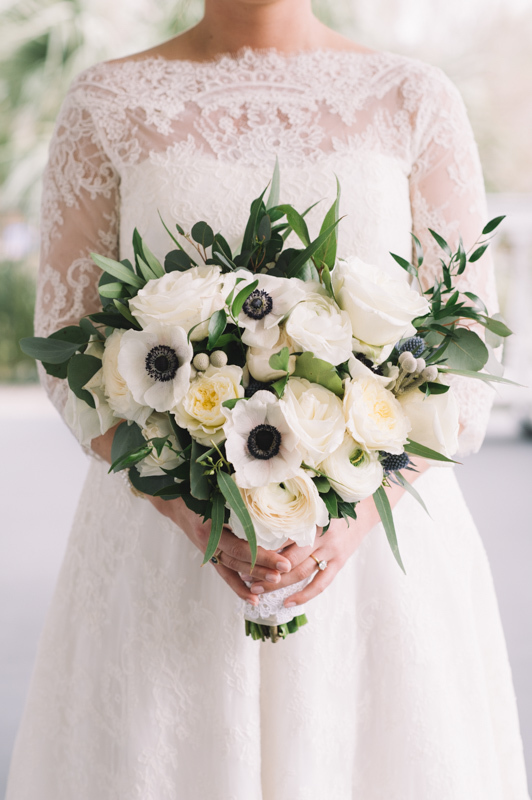 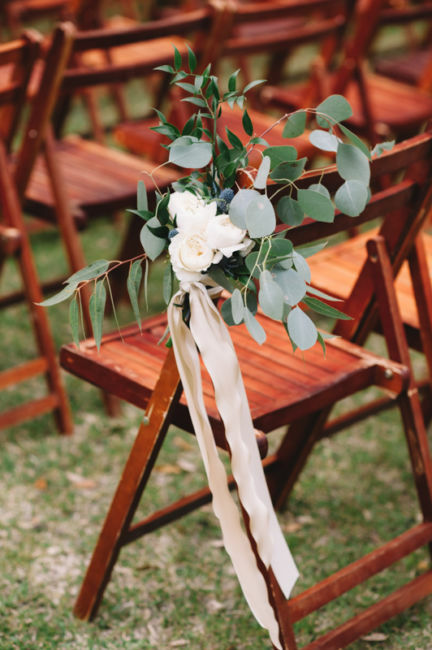 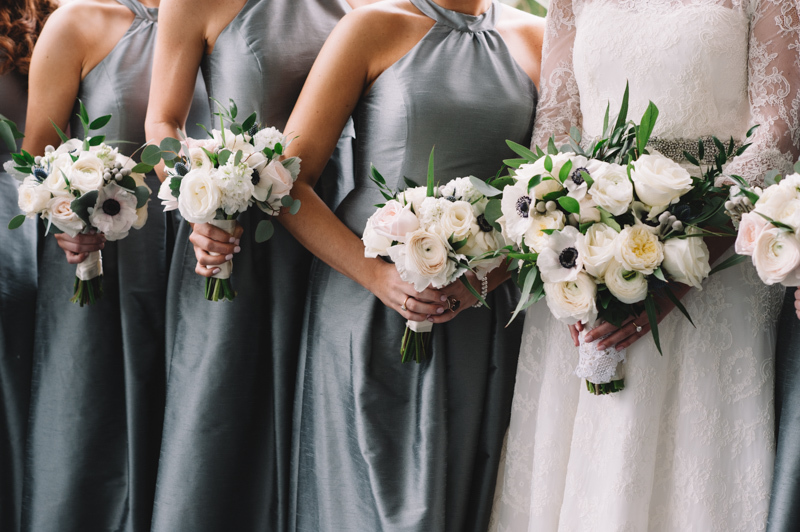 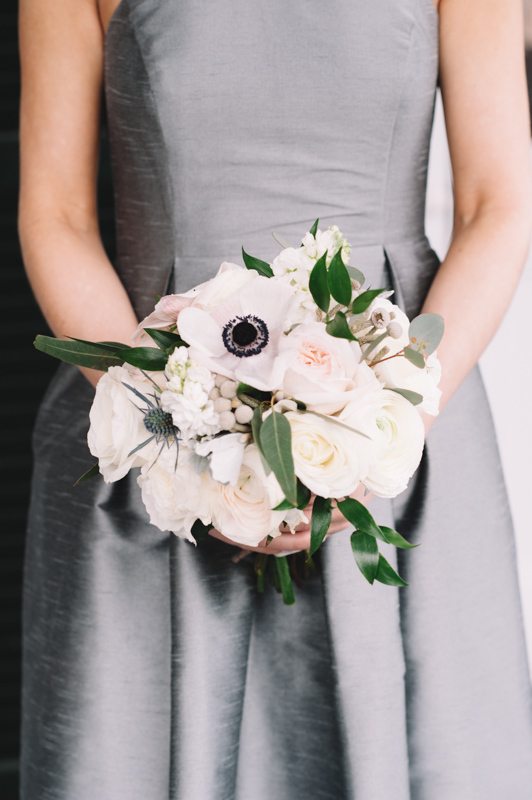 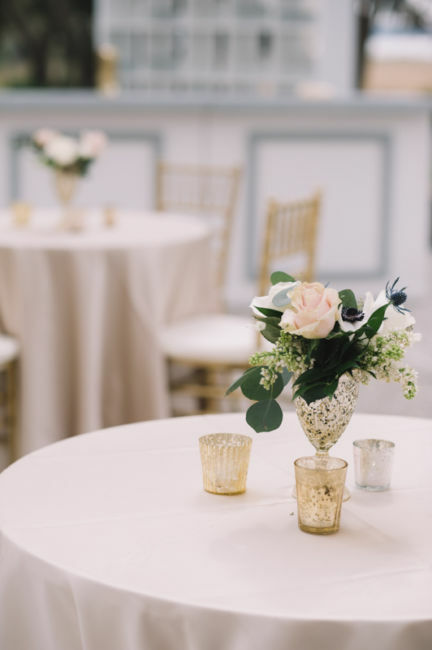 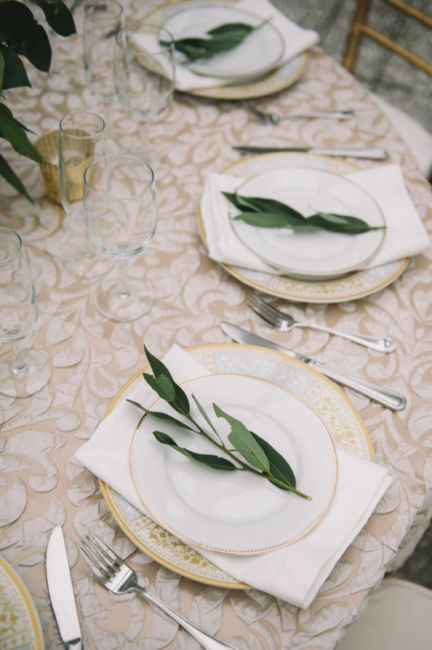 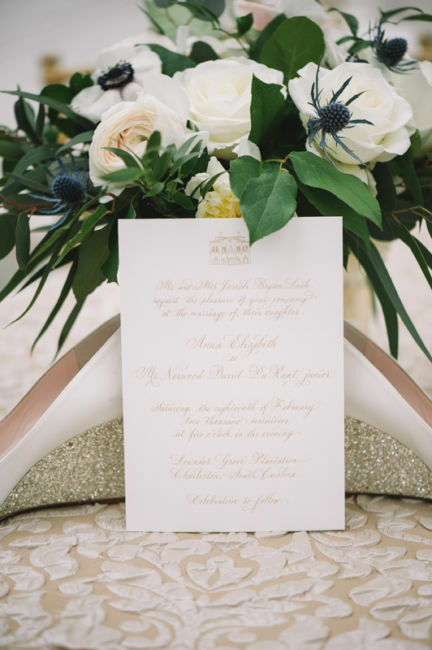 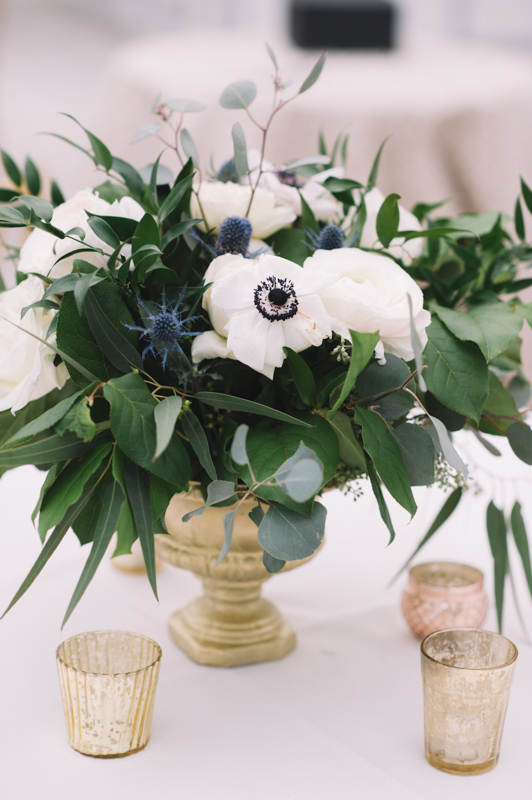 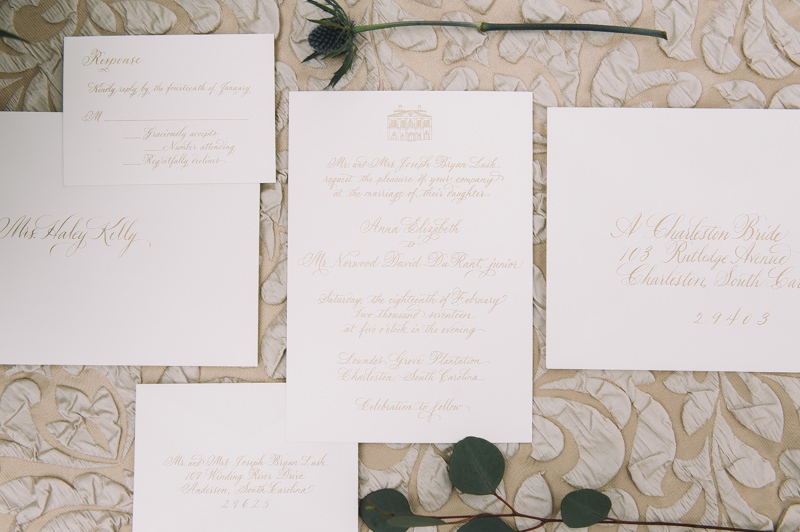 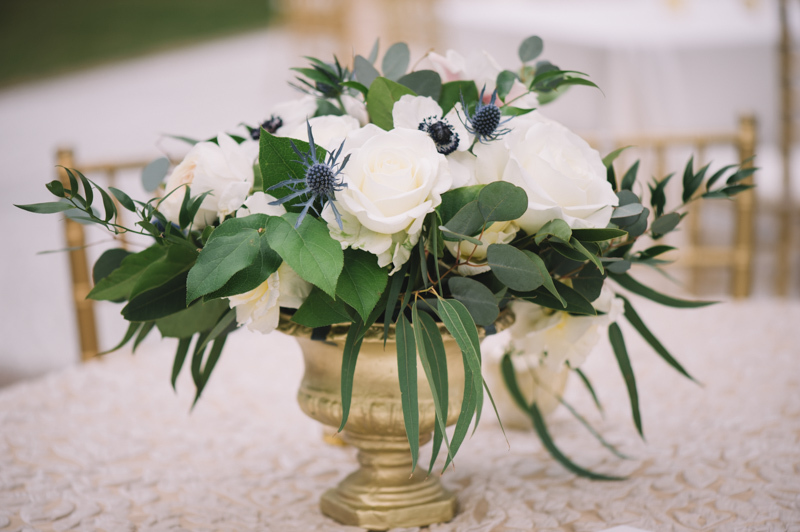 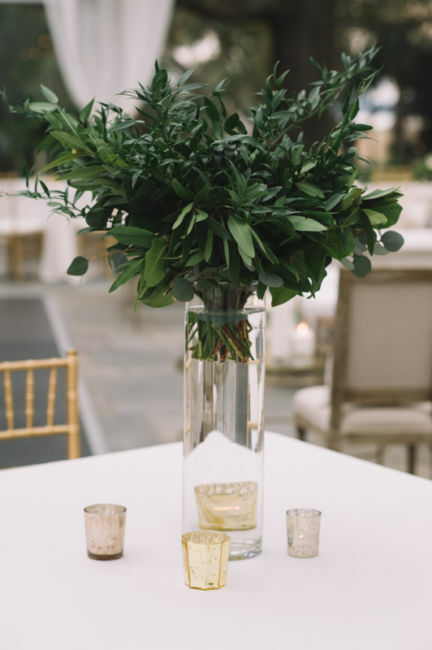 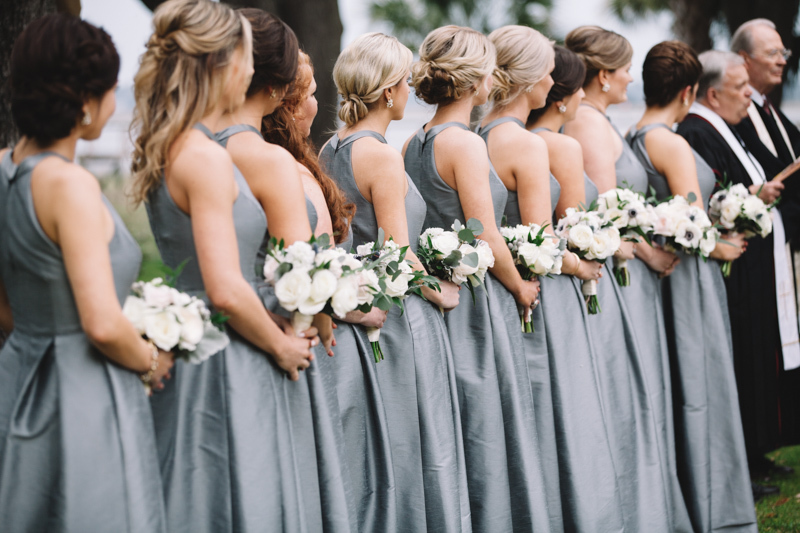 Although classic, the hints of navy blues and deep greens made their wedding colors stand out just a bit more. 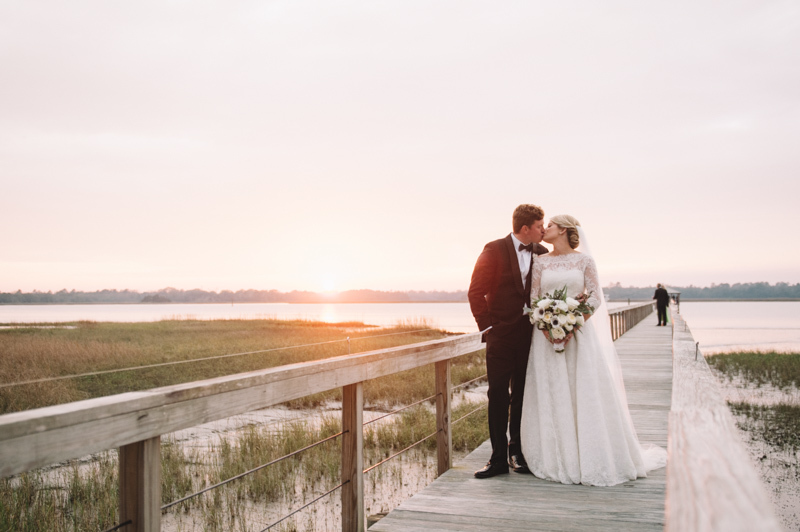 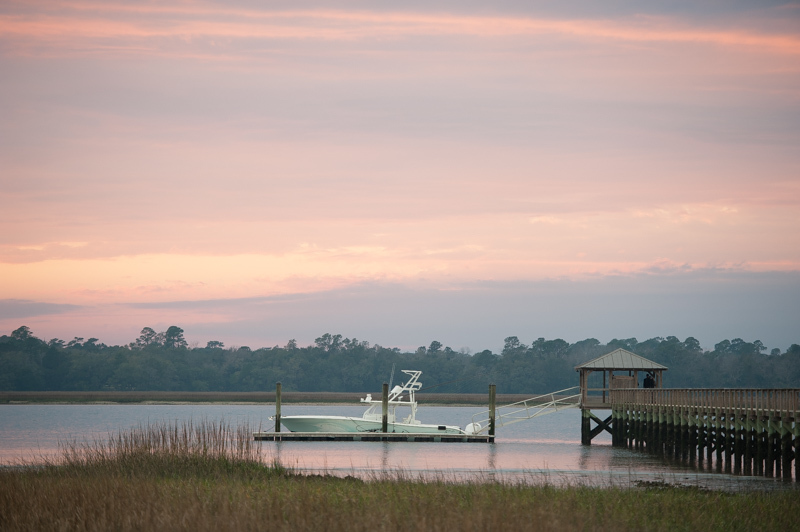 The day began as very overcast, but at sunset nature provided a romantic pinkish tone and even matched the decor! 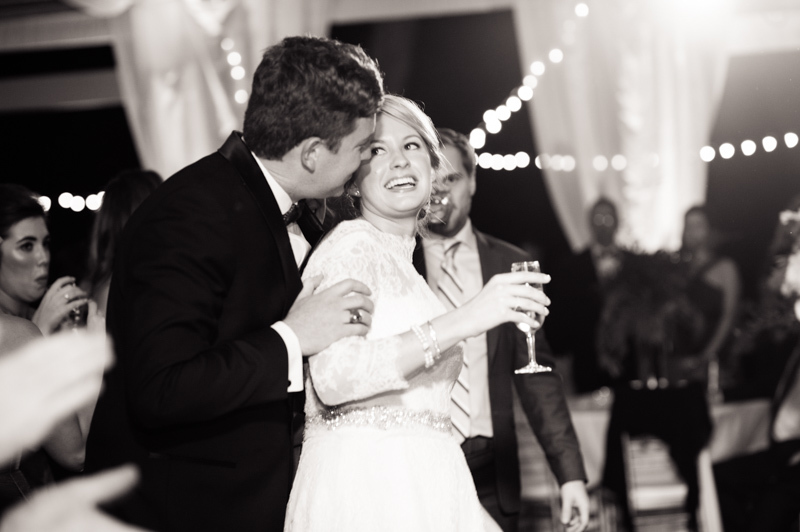 I had such a wonderful time photographing this beautiful wedding. 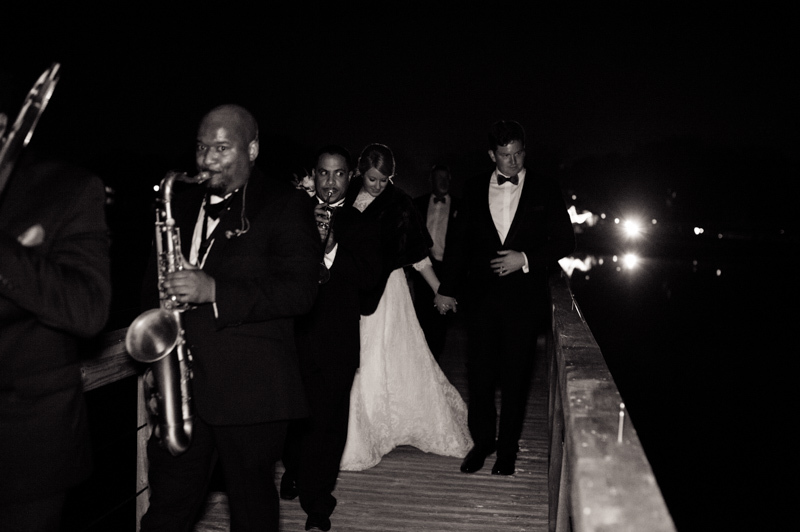 I wish Anna & Woody nothing but the best in their marriage.